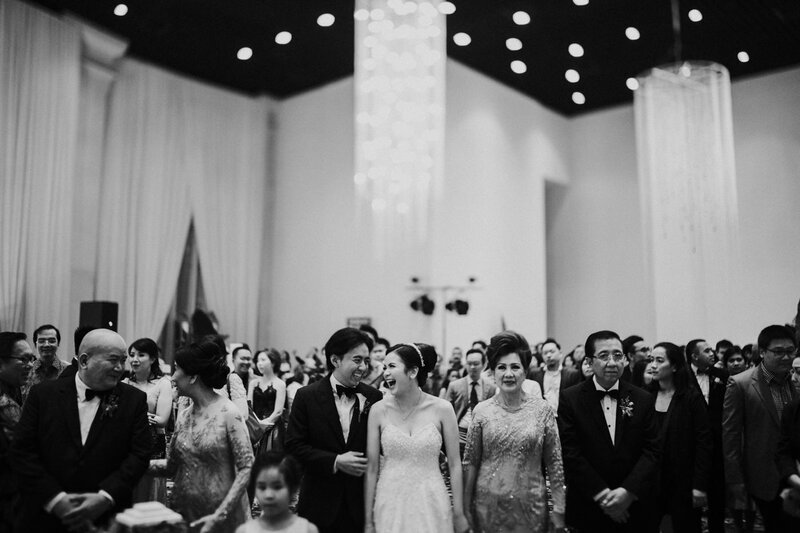 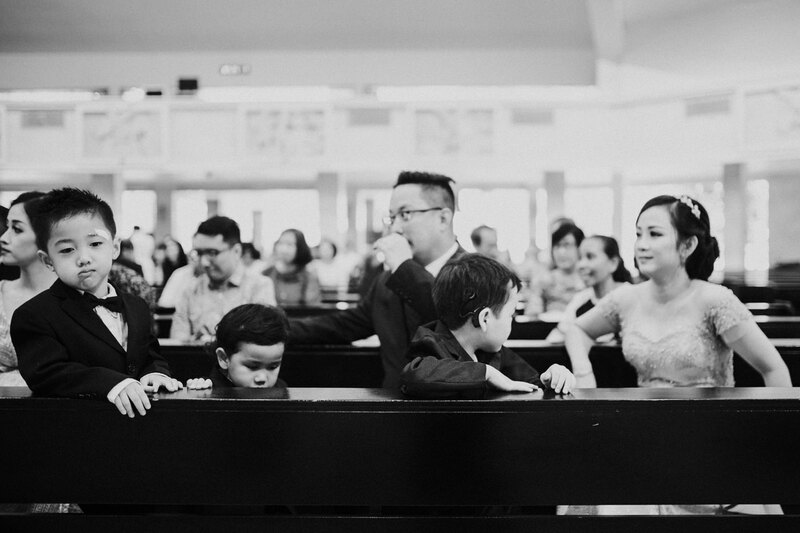 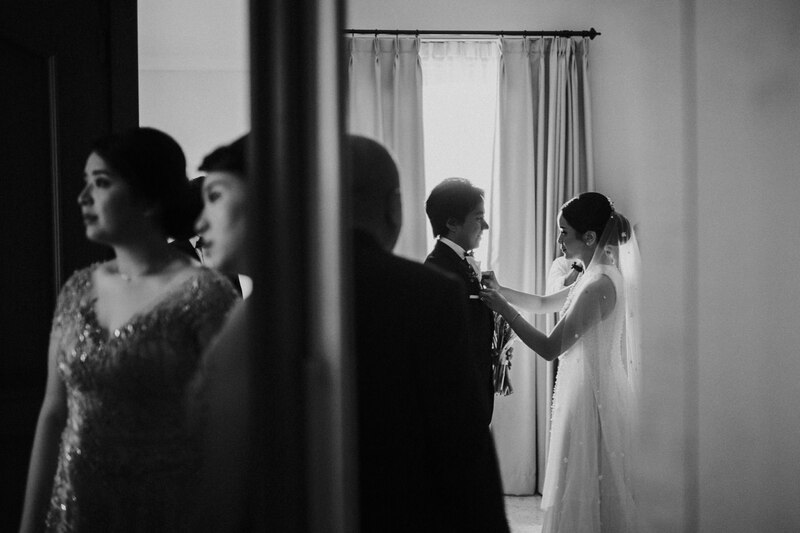 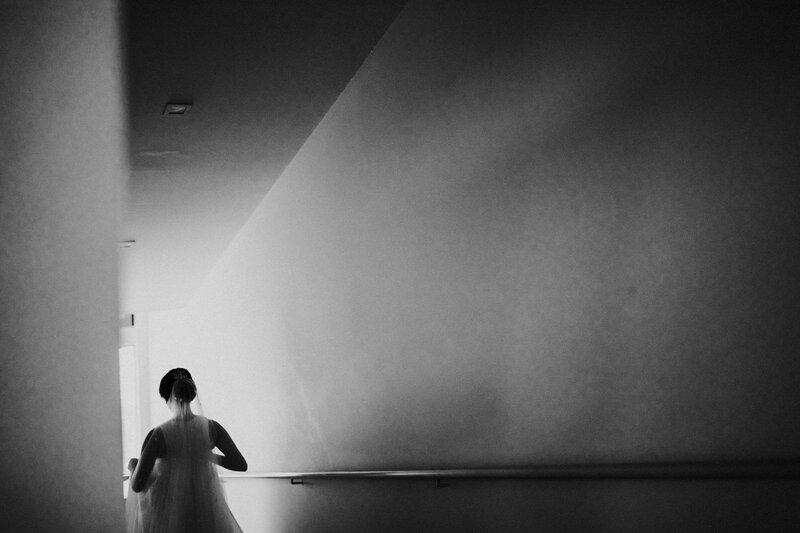 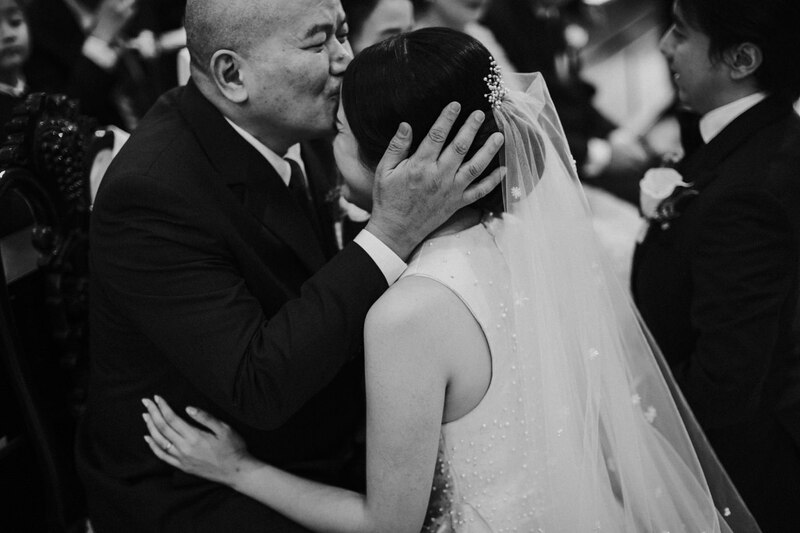 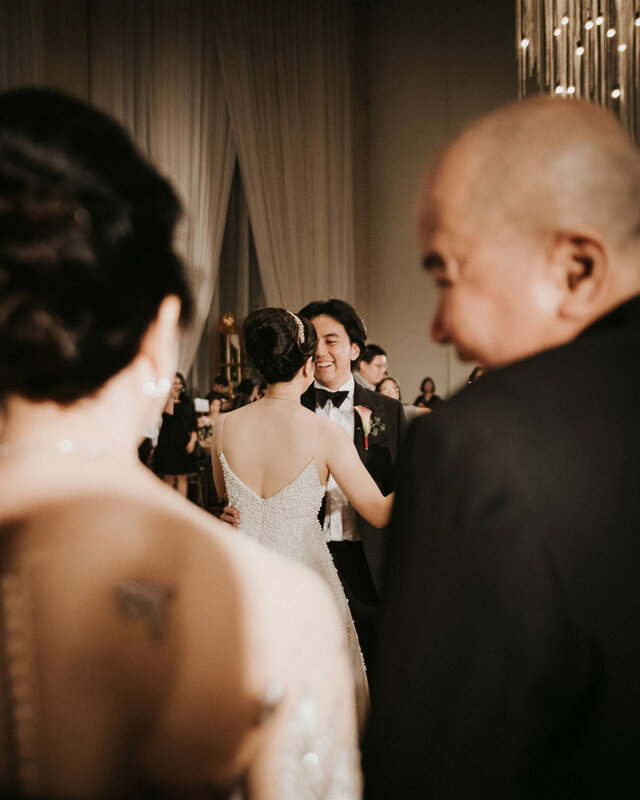 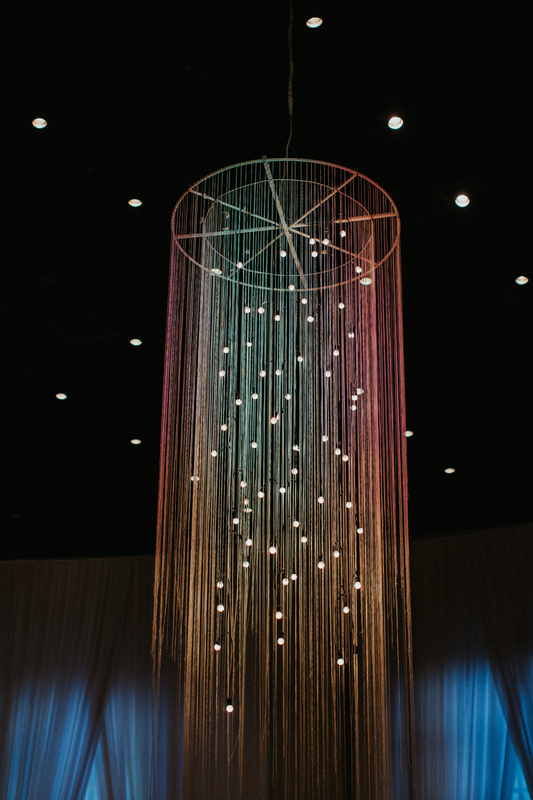 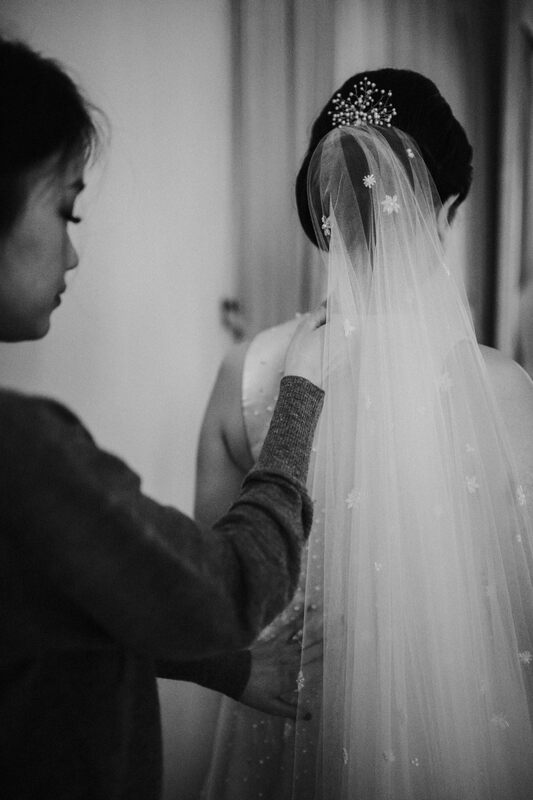 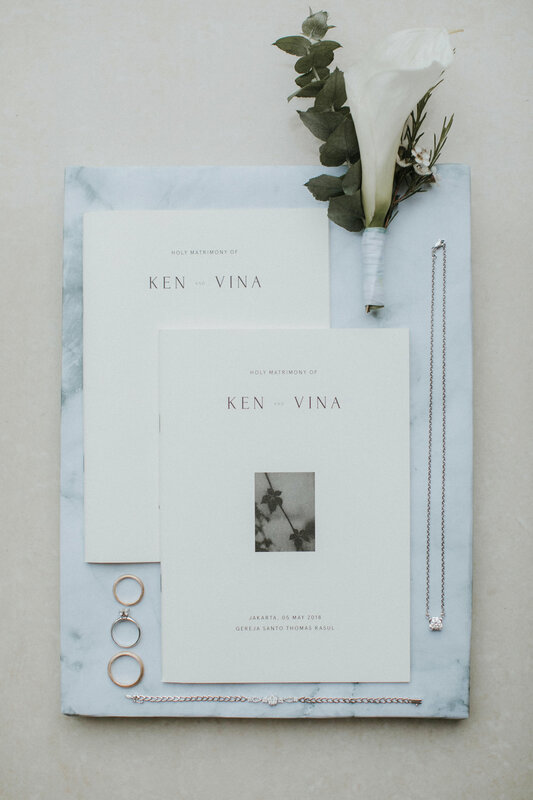 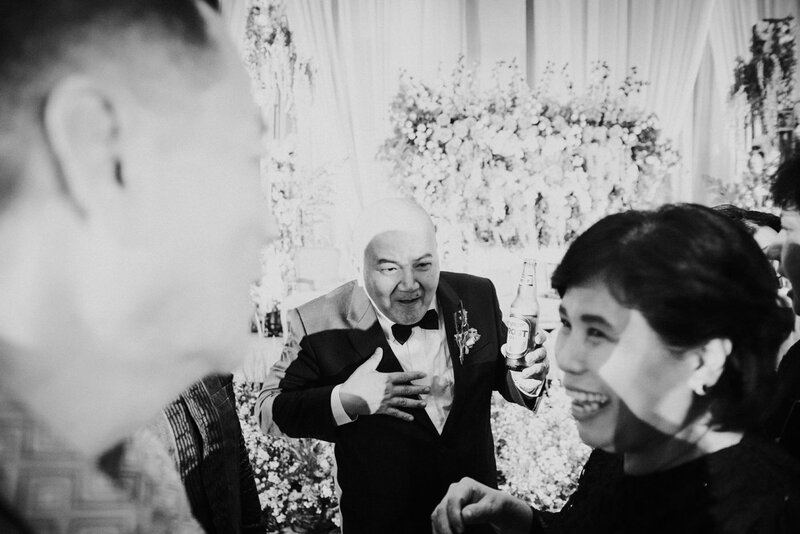 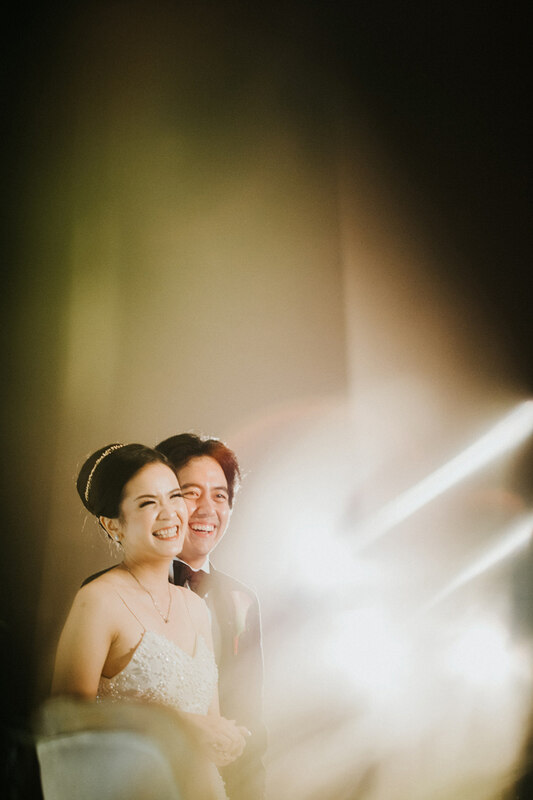 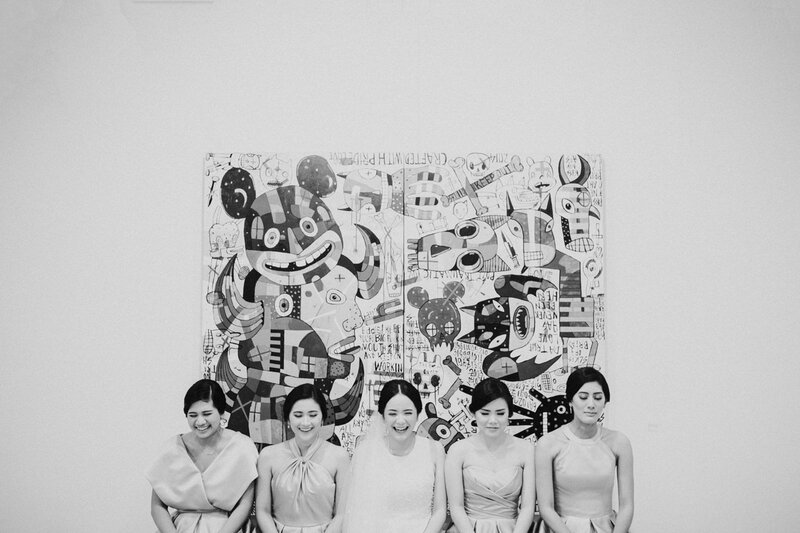 Today’s beautiful wedding was a portrayal of a six-year relationship of Vina & Ken that got us all inspired. 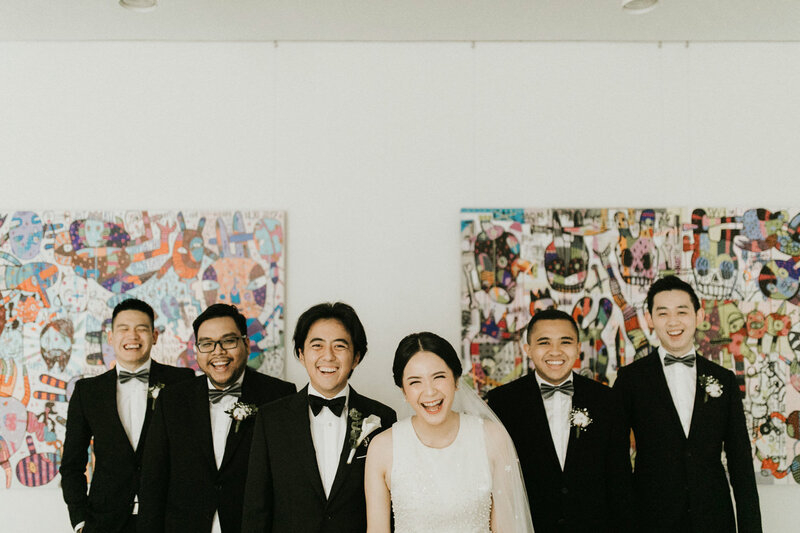 They met during an Indonesian Student Association meeting in Melbourne, Australia back in early 2012. 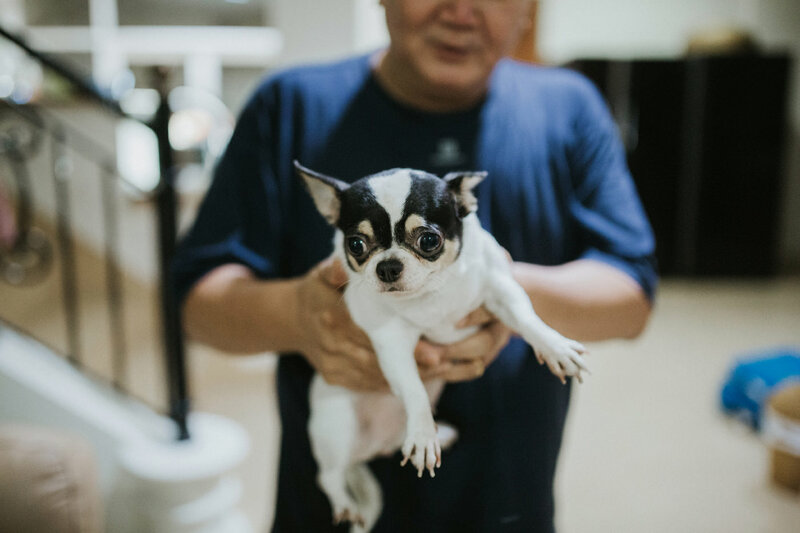 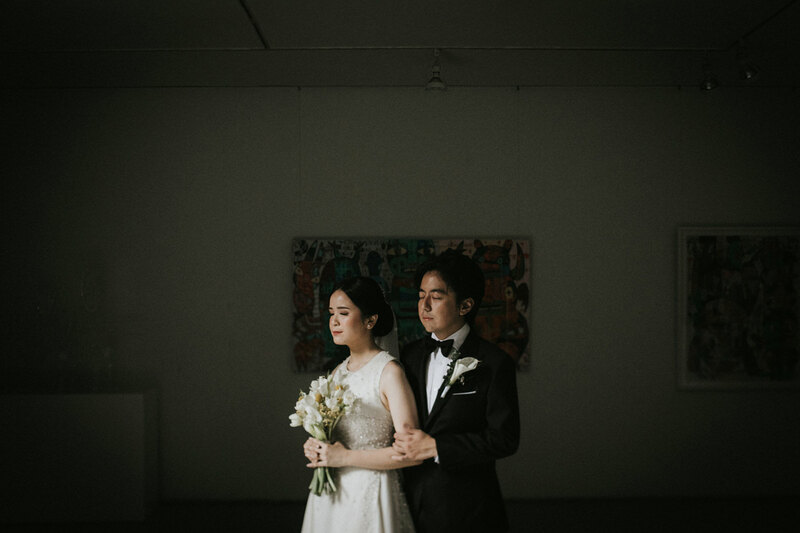 To make the long story short, a random tram trip at night brought them closer together during the first weeks of their relationship. 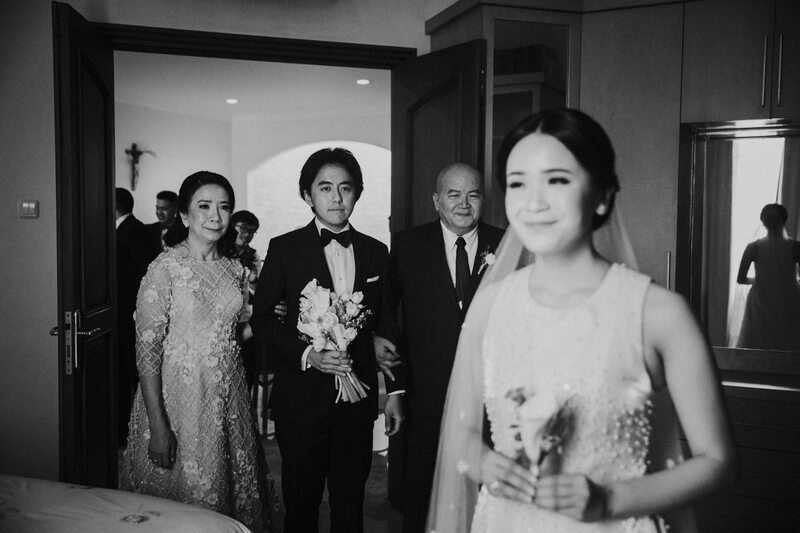 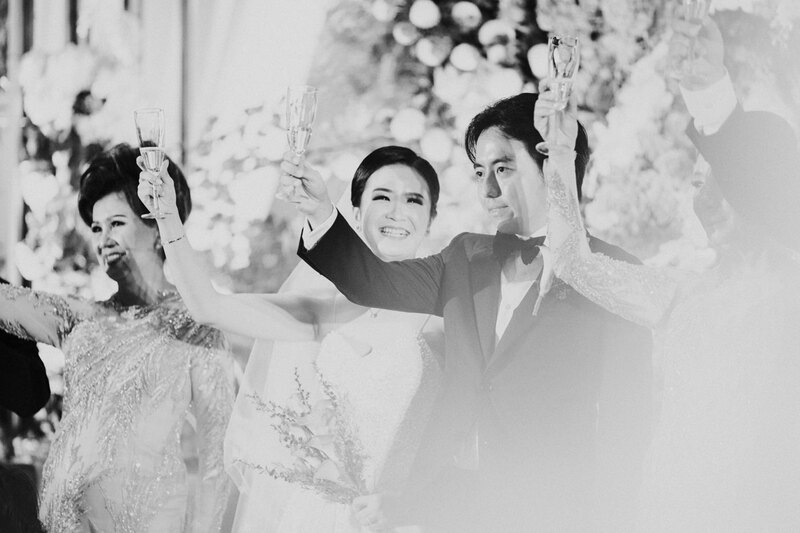 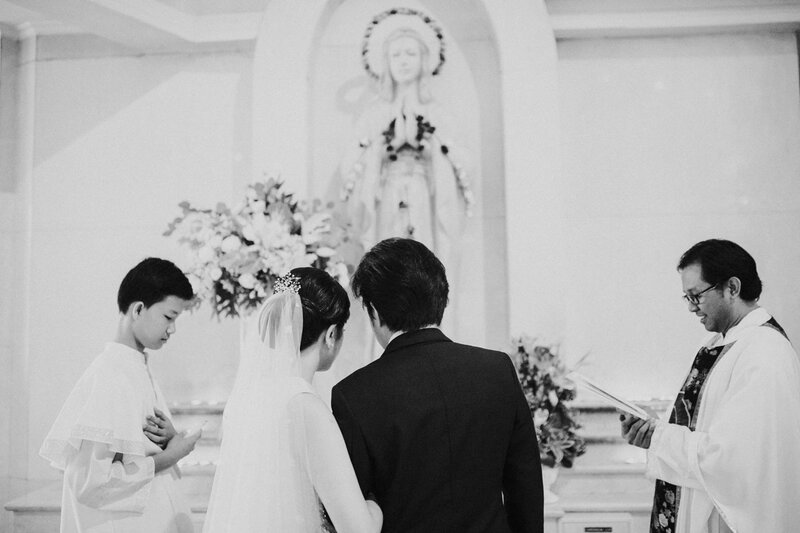 Since that, both Vina & Ken have always visualized each other as a partner in life. 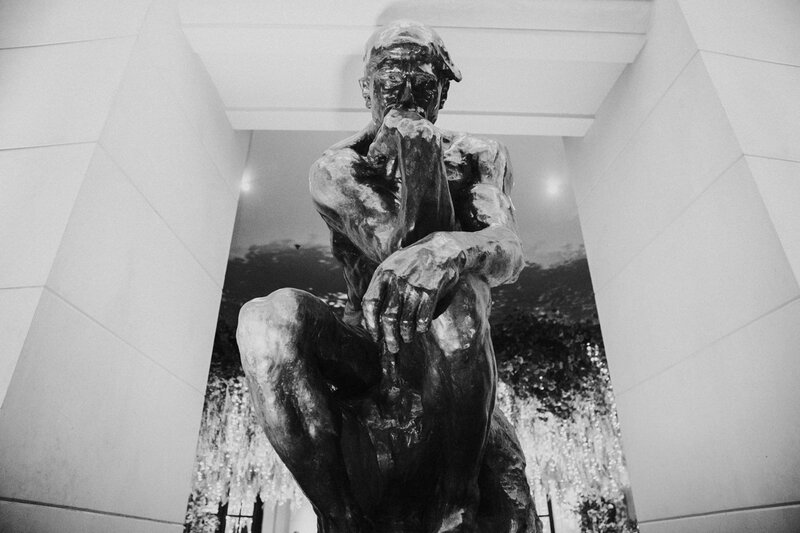 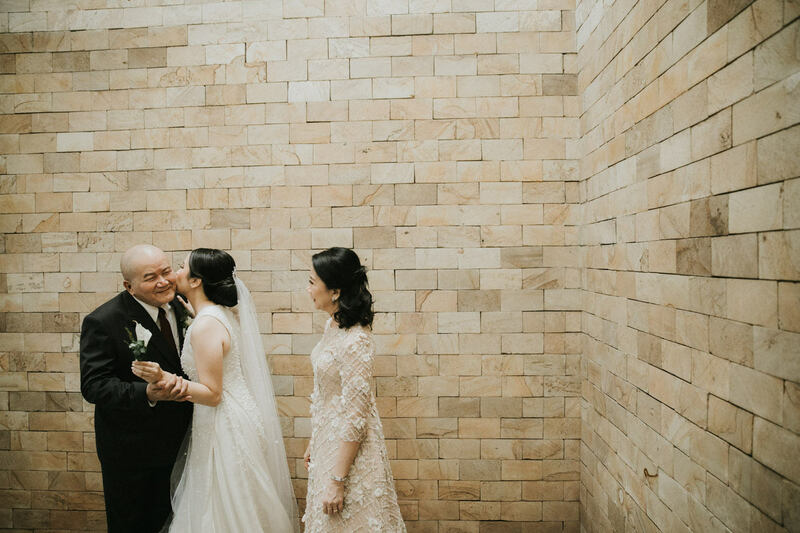 “We have similar interests and she never fails to inspire me.” Ken shared. 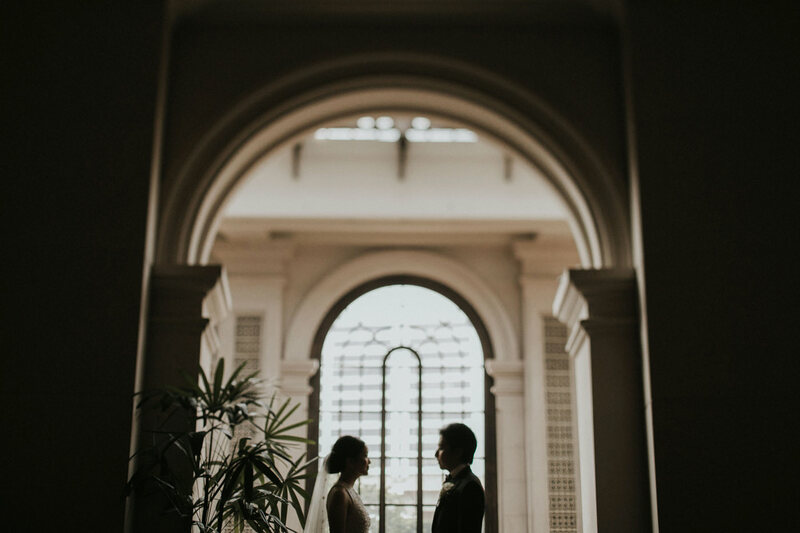 And it was the couple’s love for quiet mornings at home, market strolls, coffee run and good music that made them inseparable. 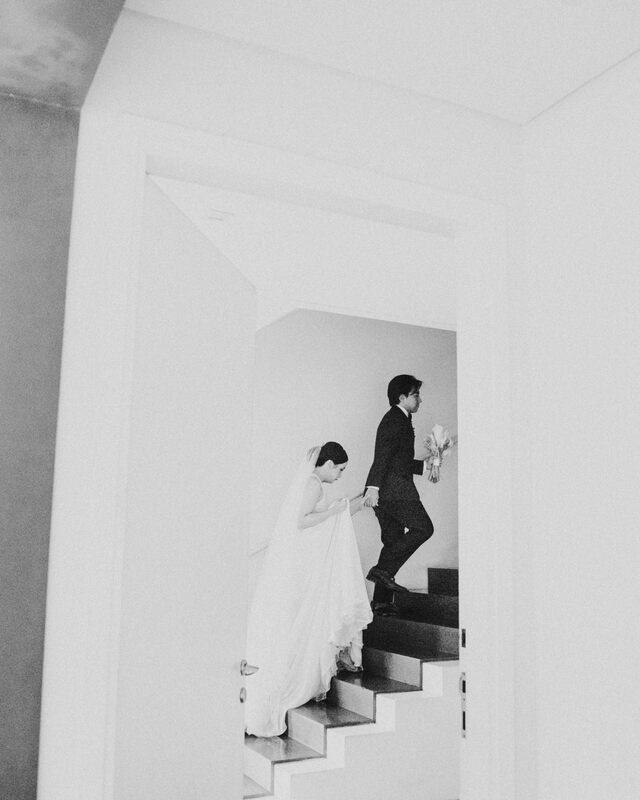 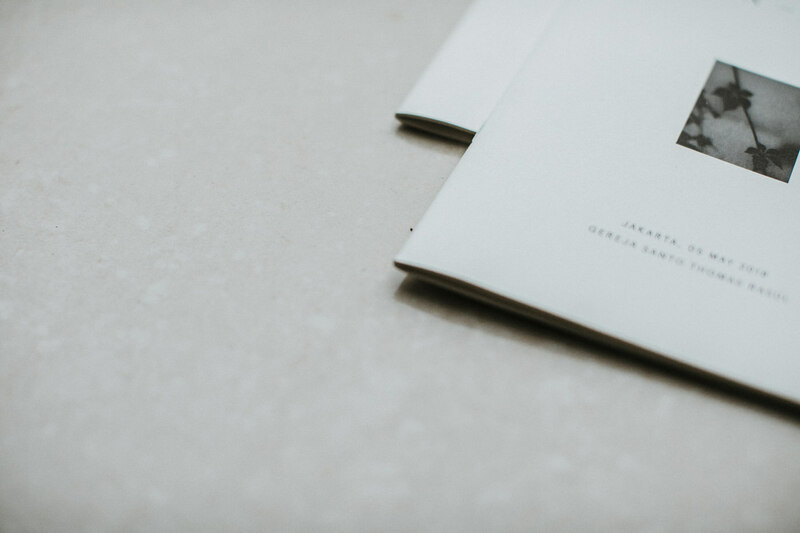 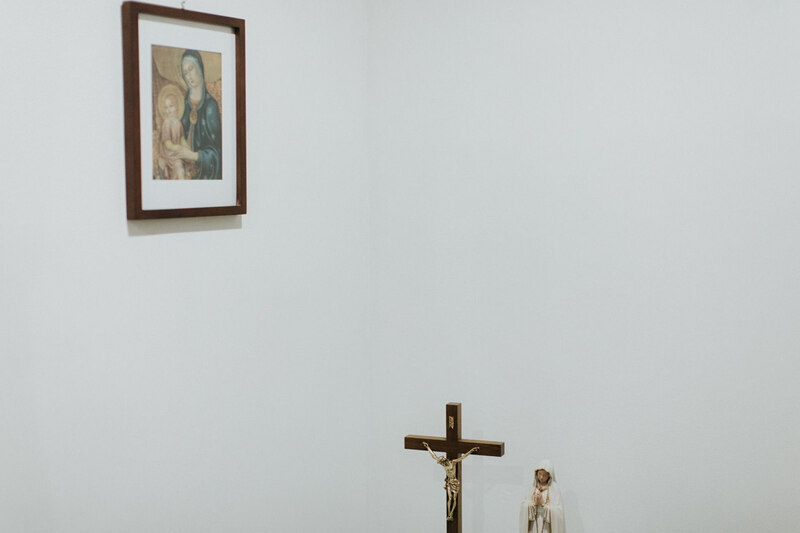 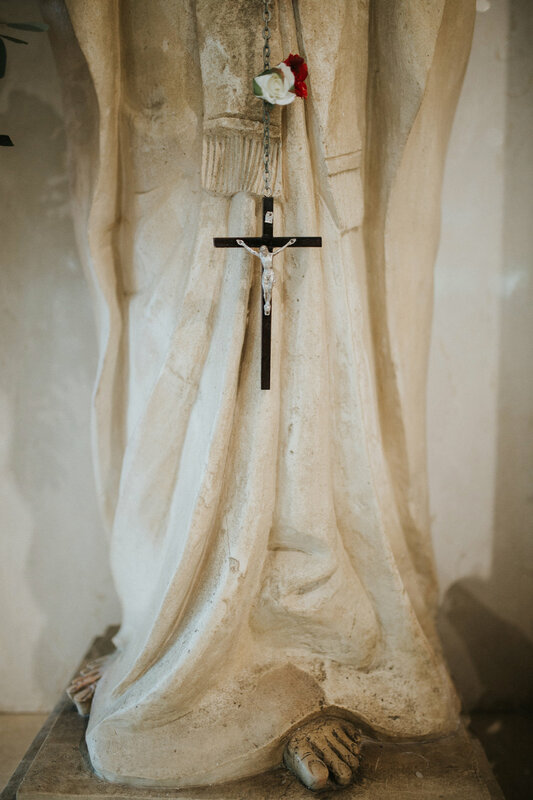 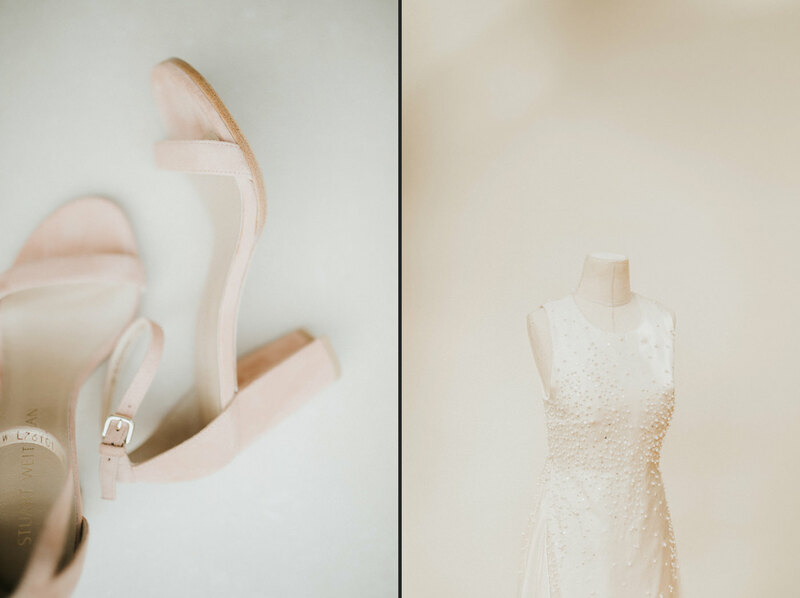 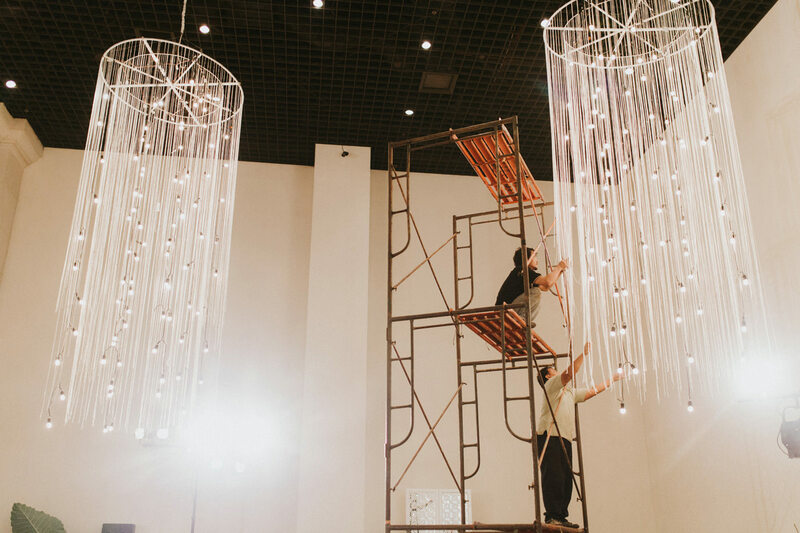 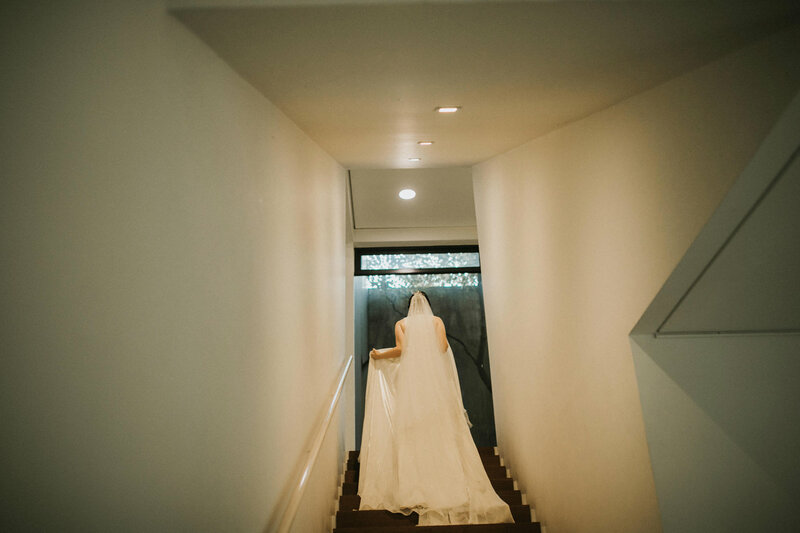 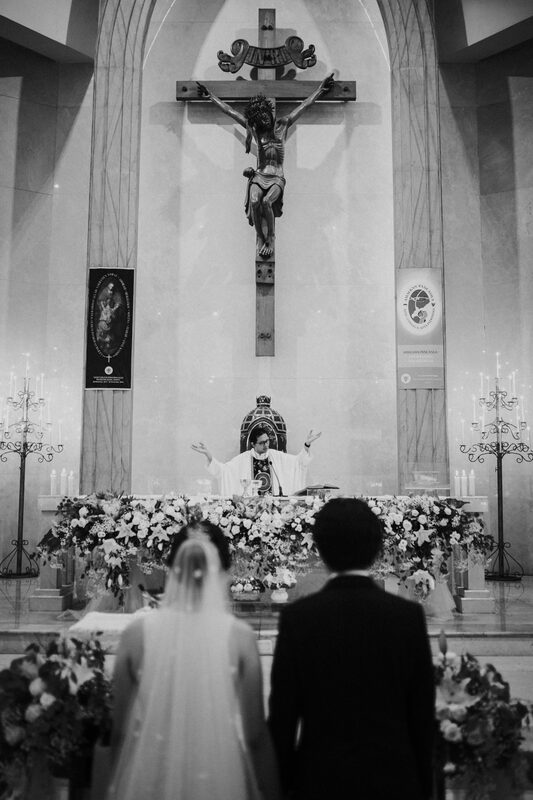 From the first peek of their wedding, anyone can easily guess that the two lovers share a mutual understanding on simplicity. 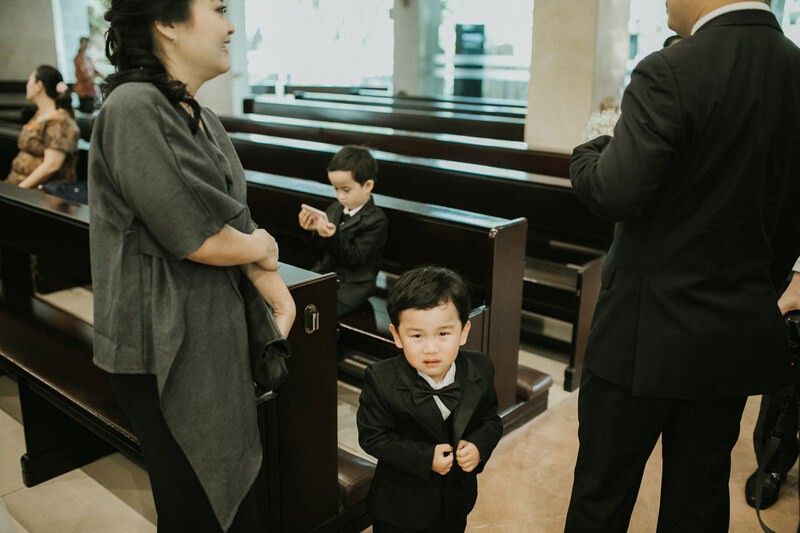 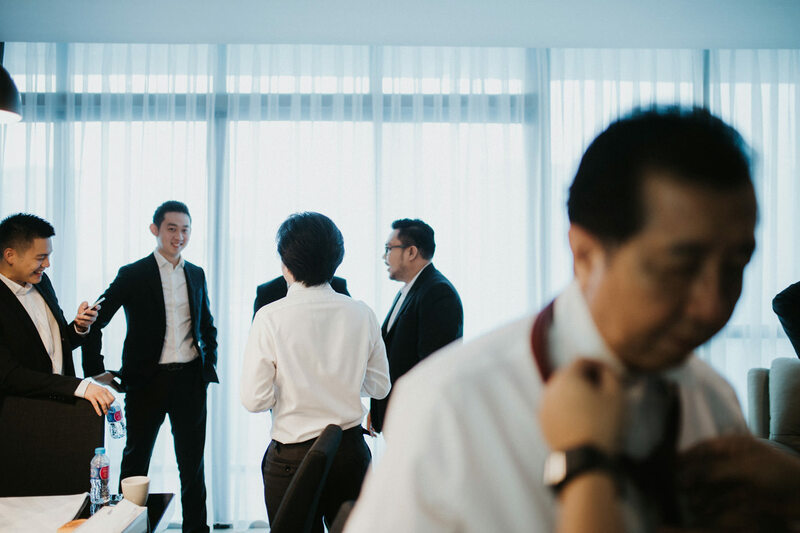 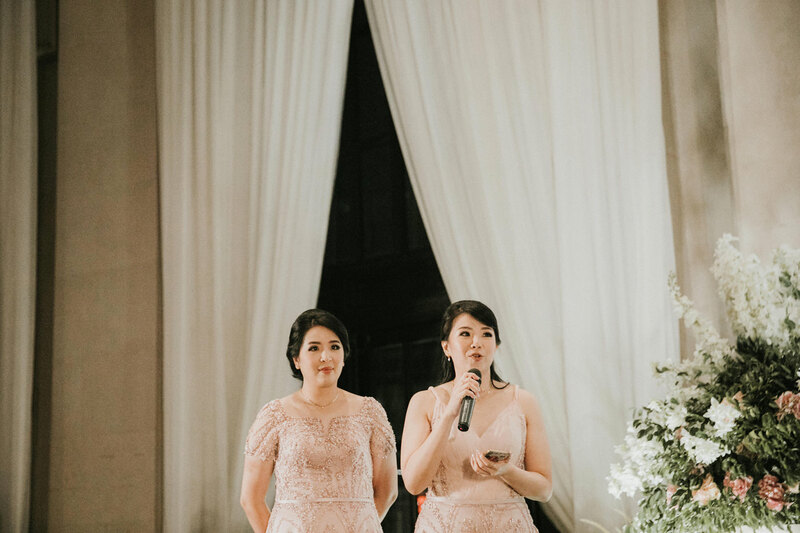 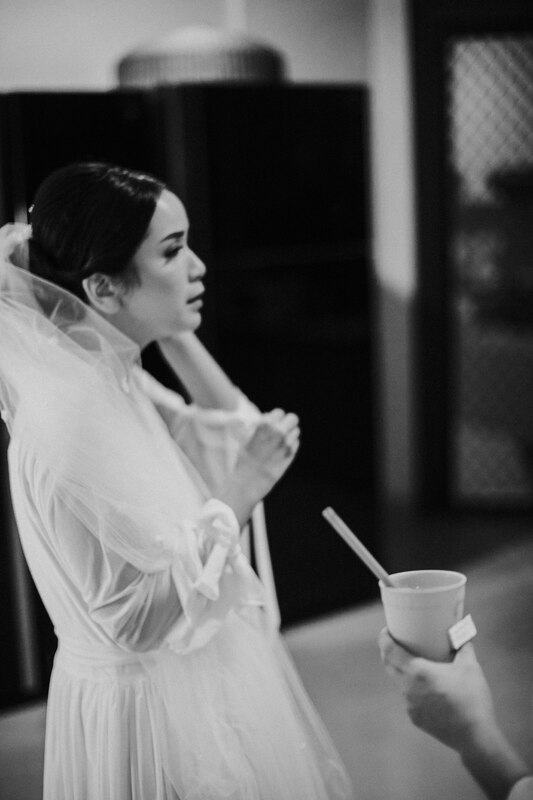 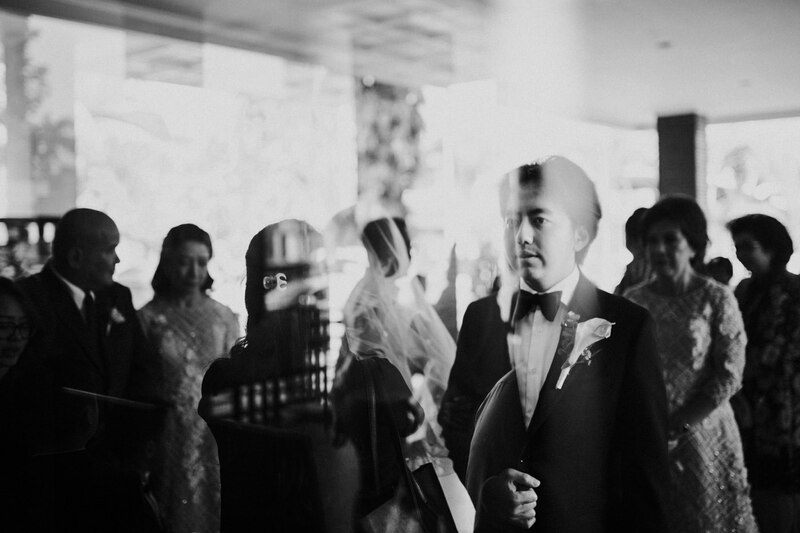 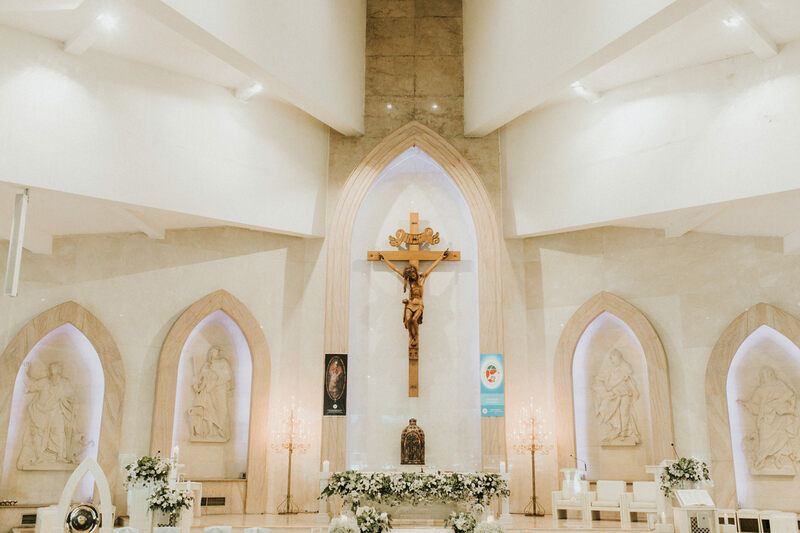 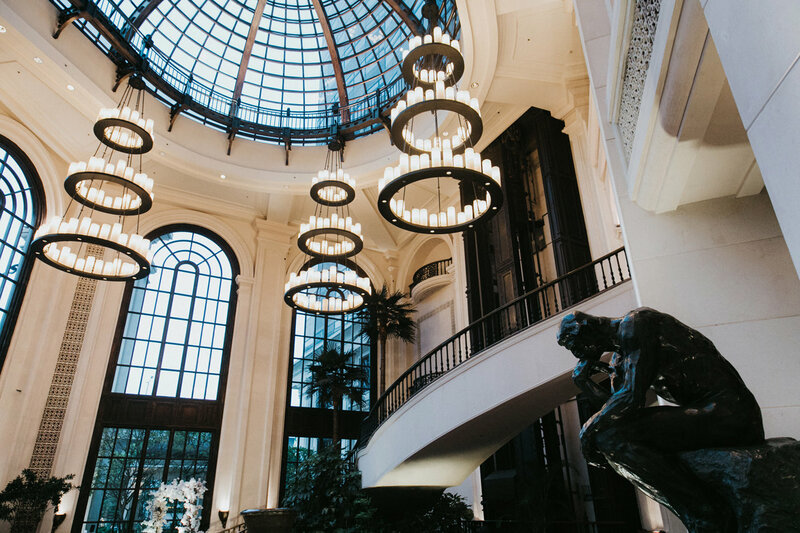 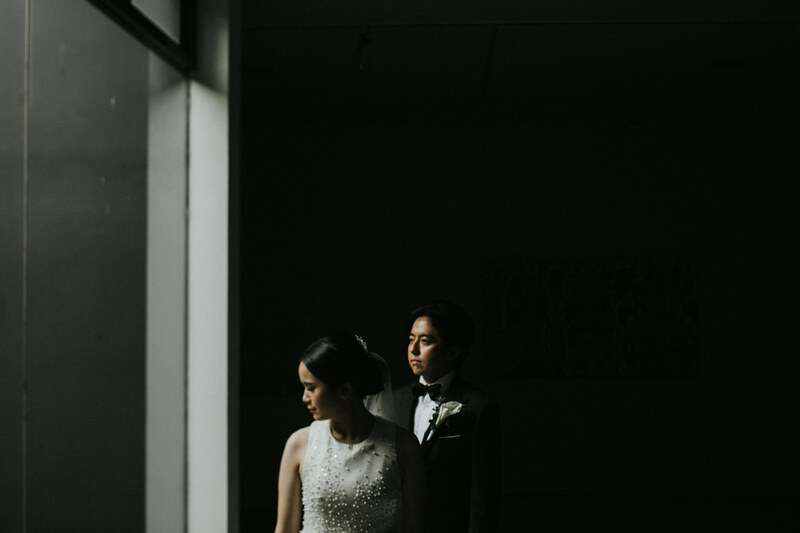 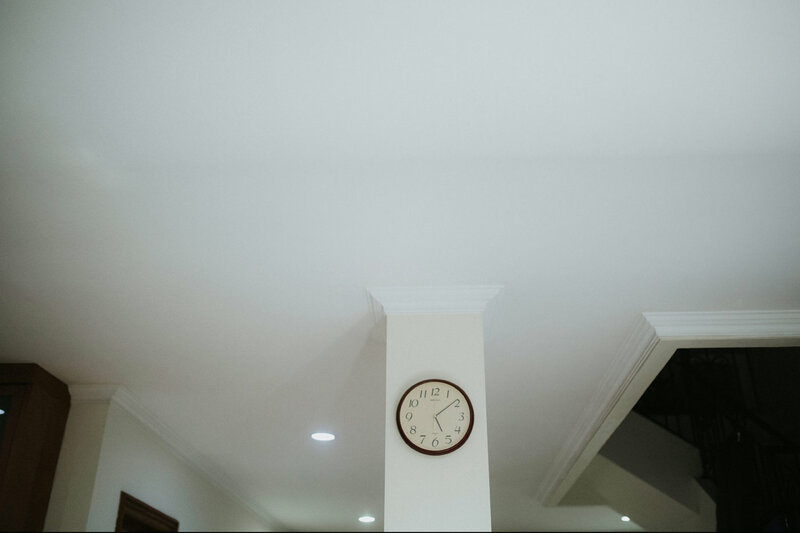 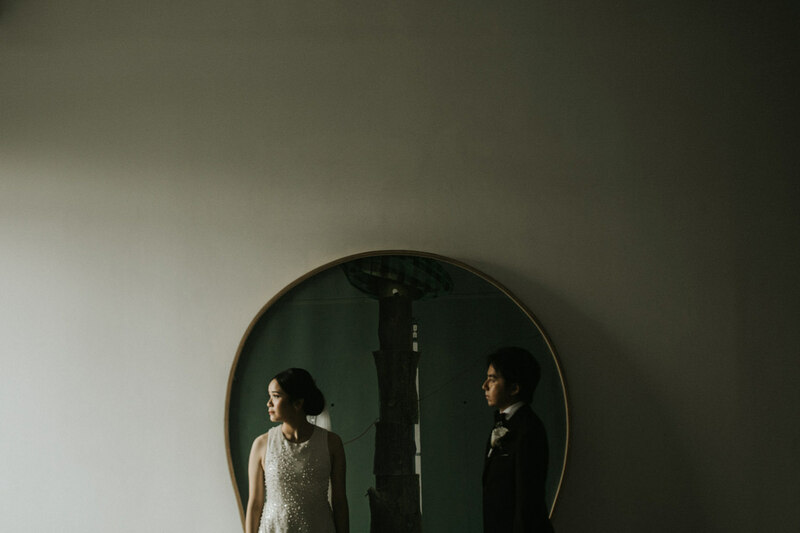 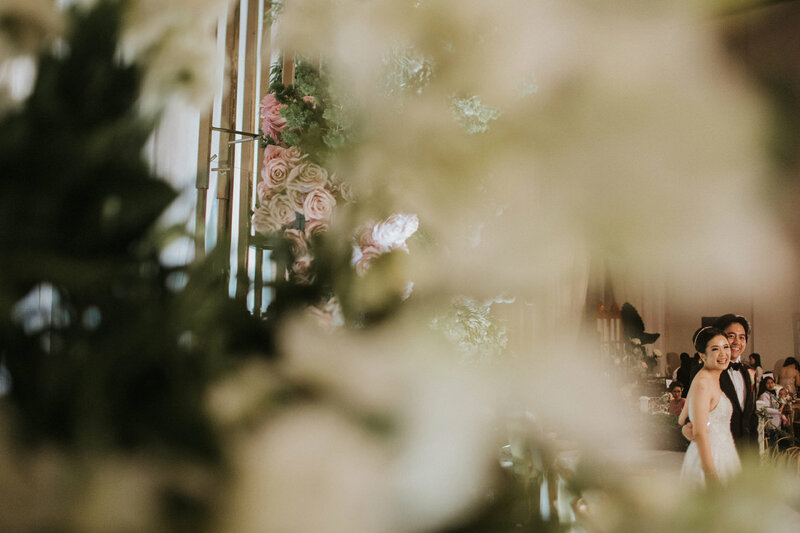 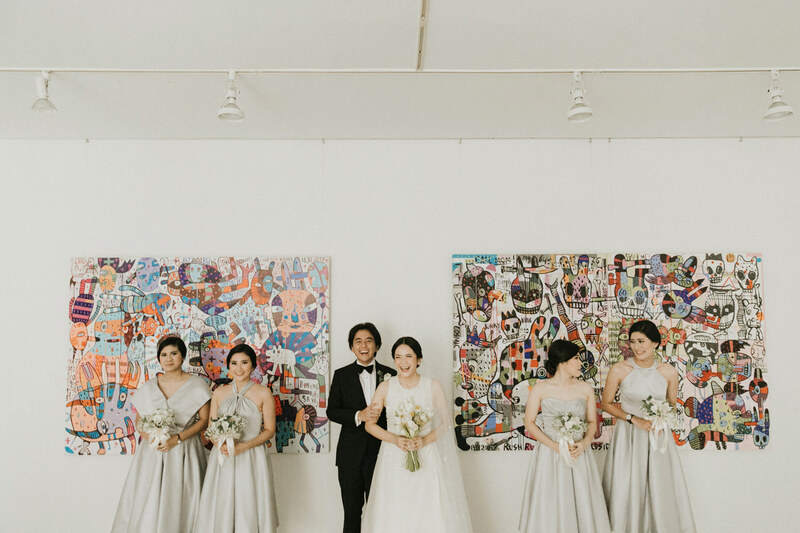 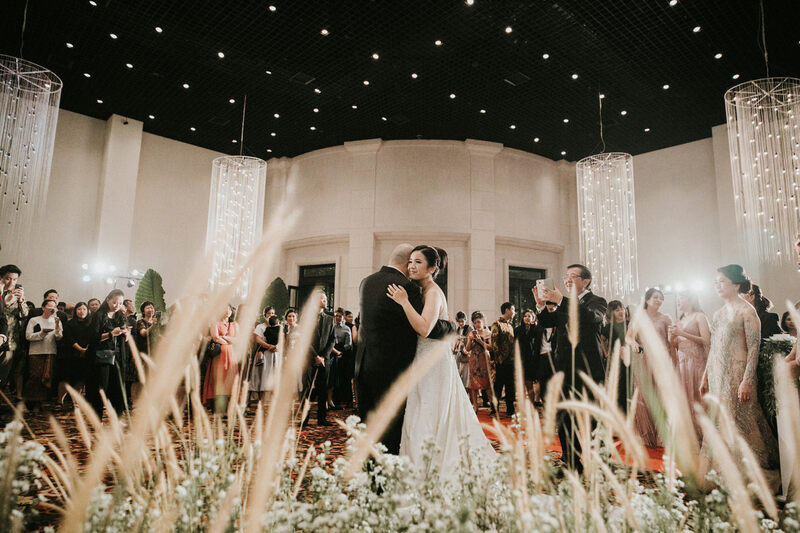 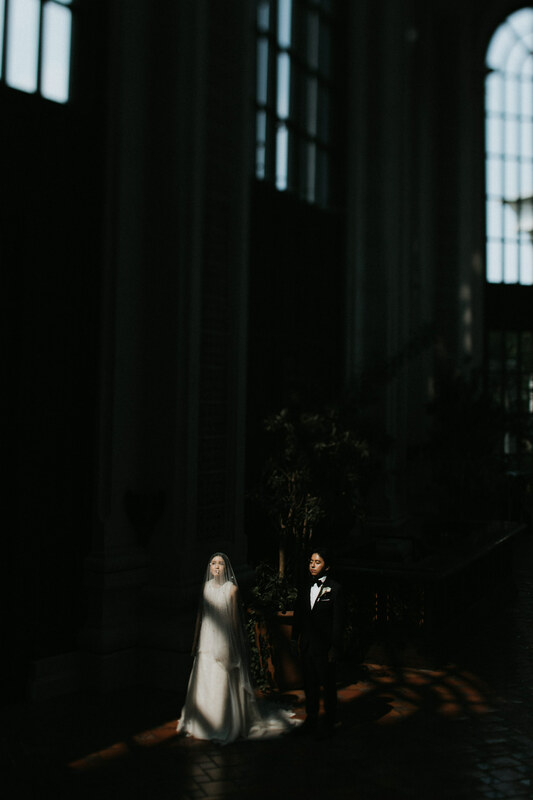 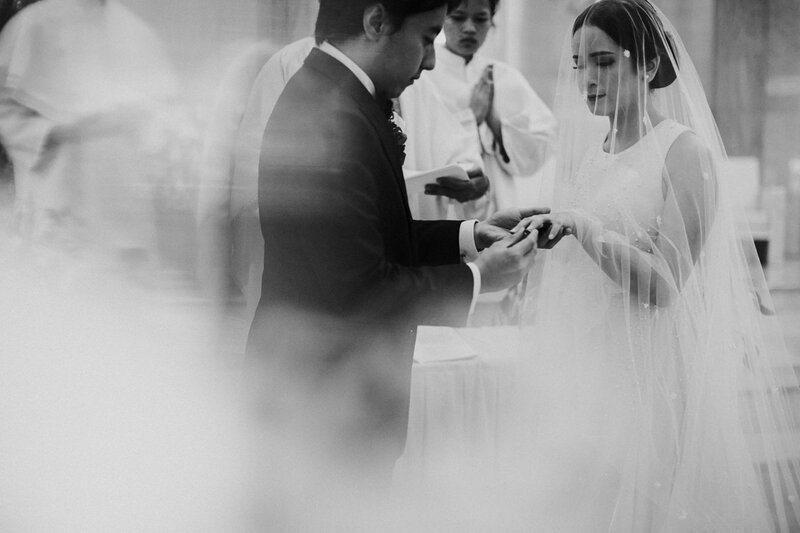 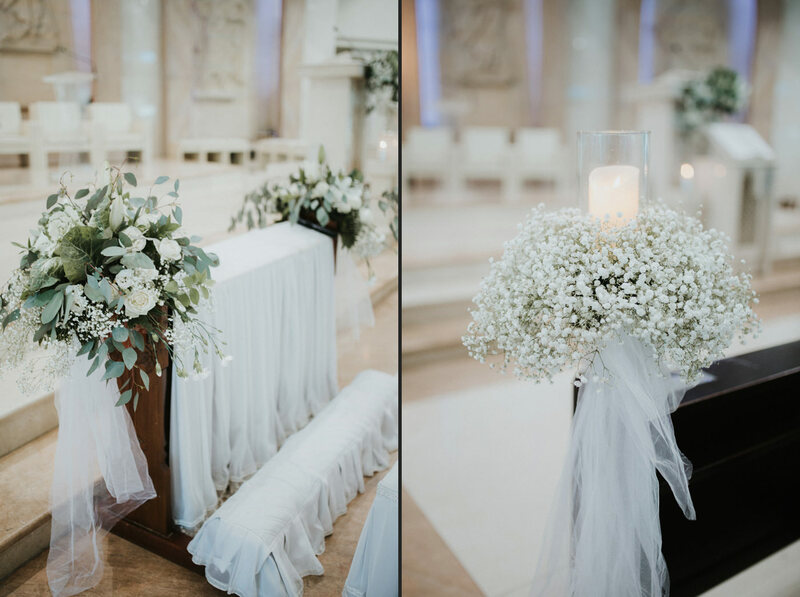 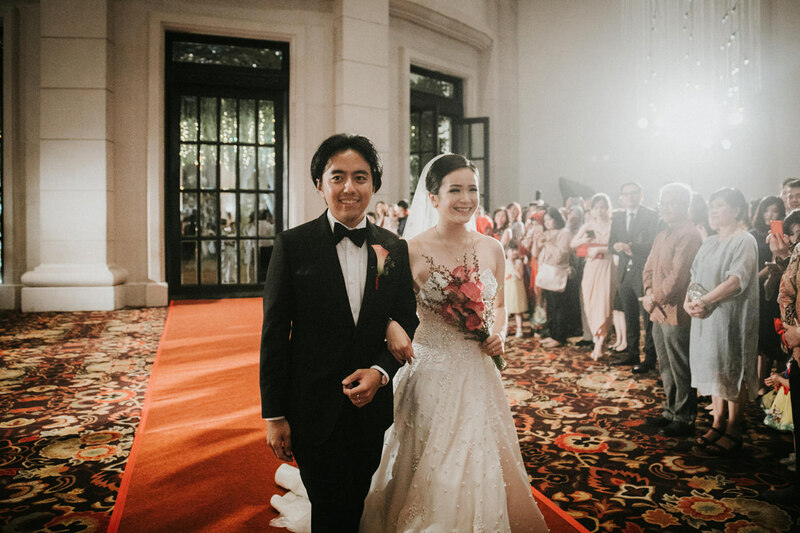 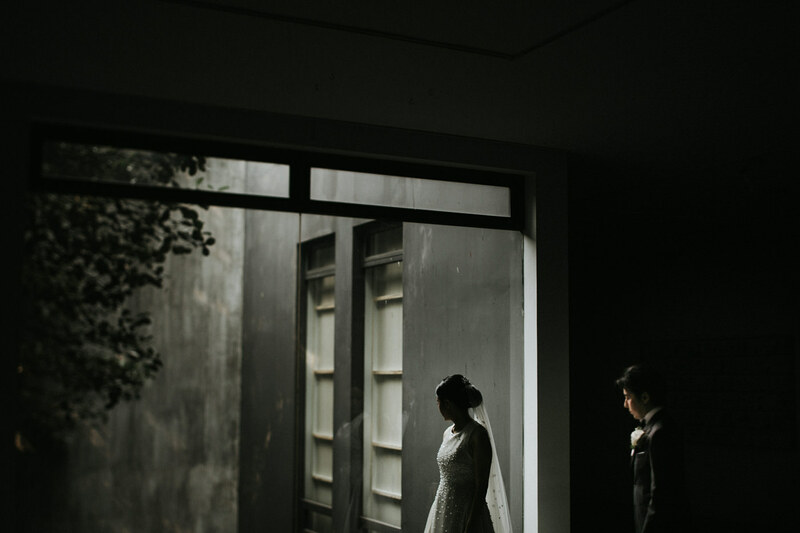 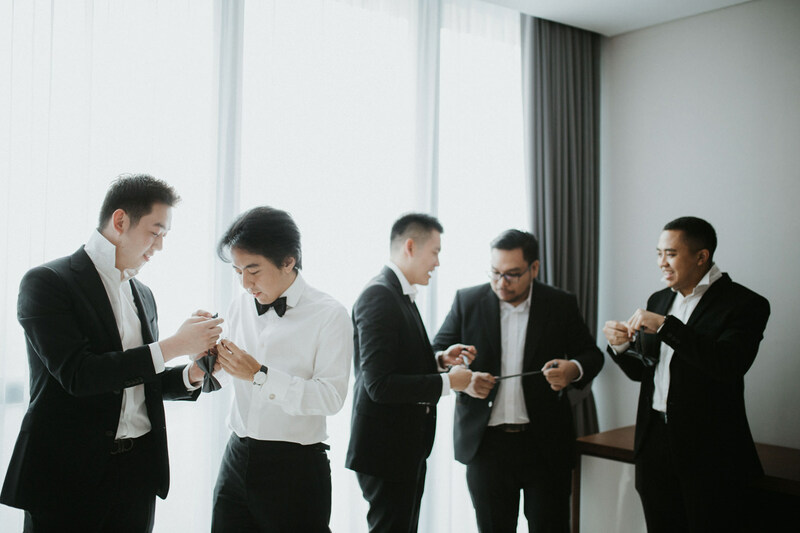 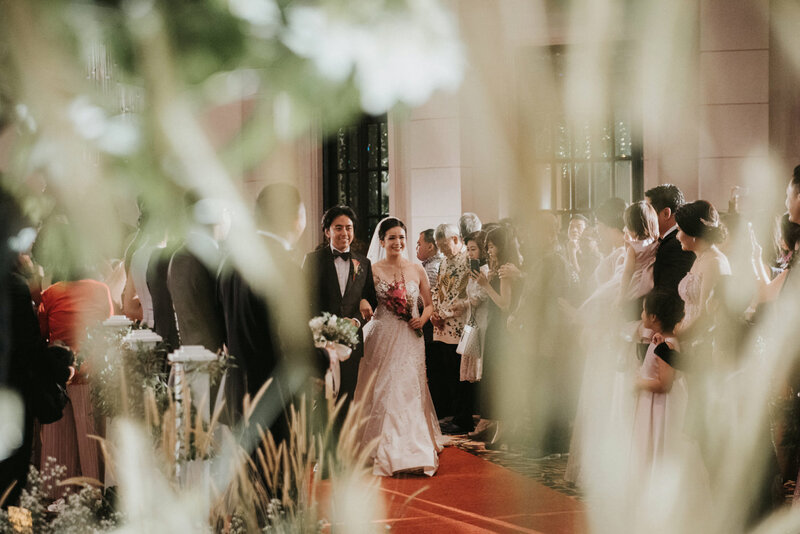 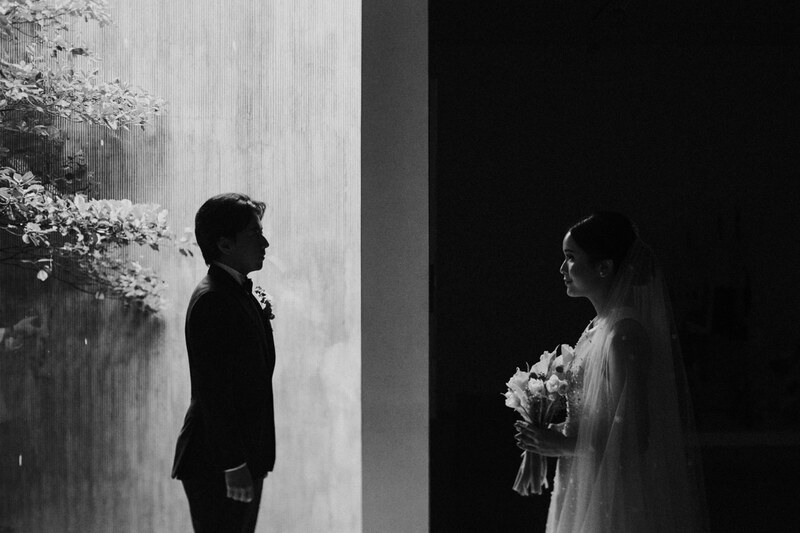 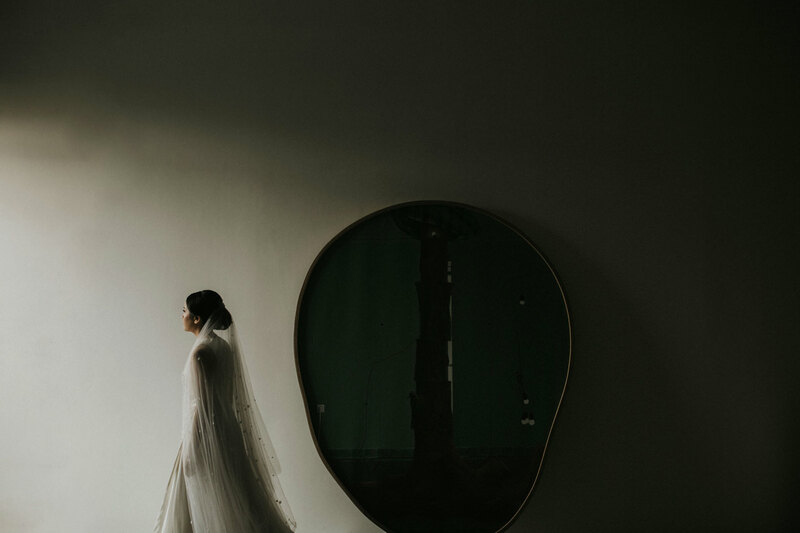 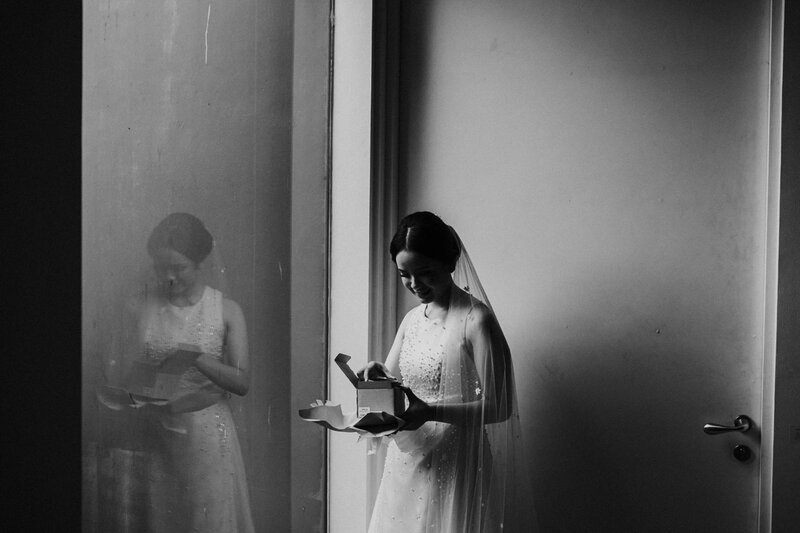 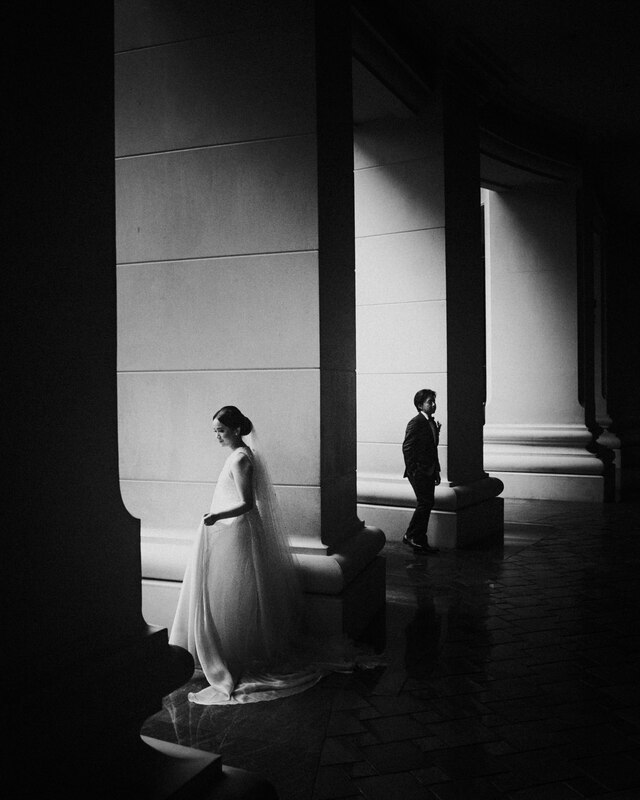 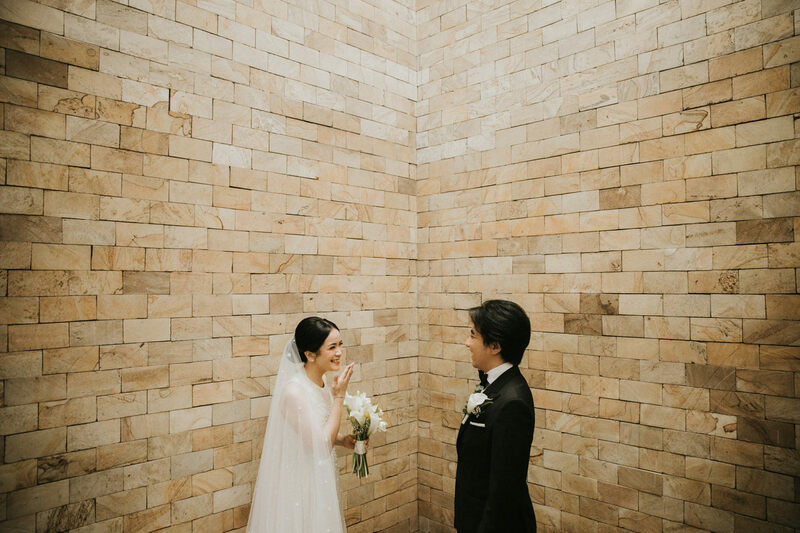 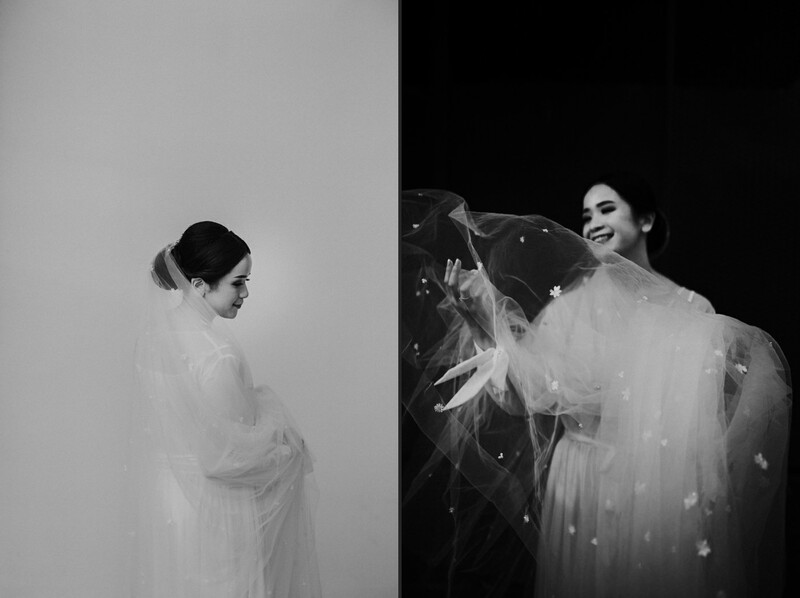 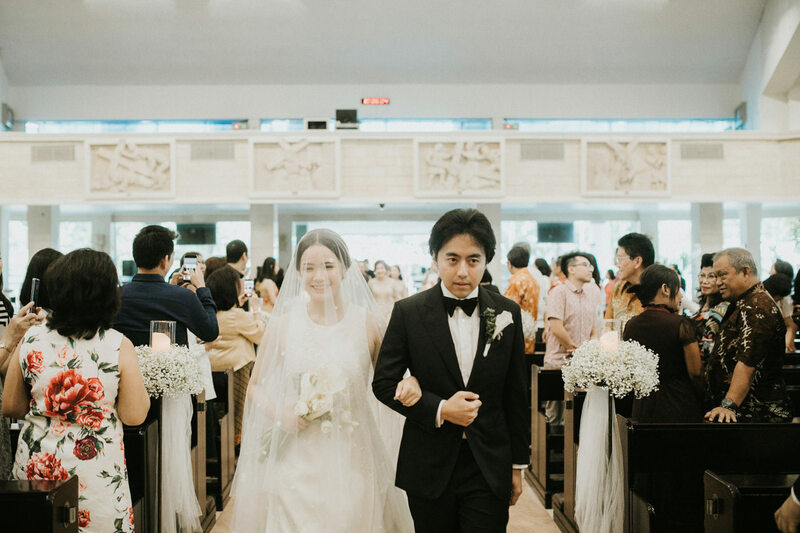 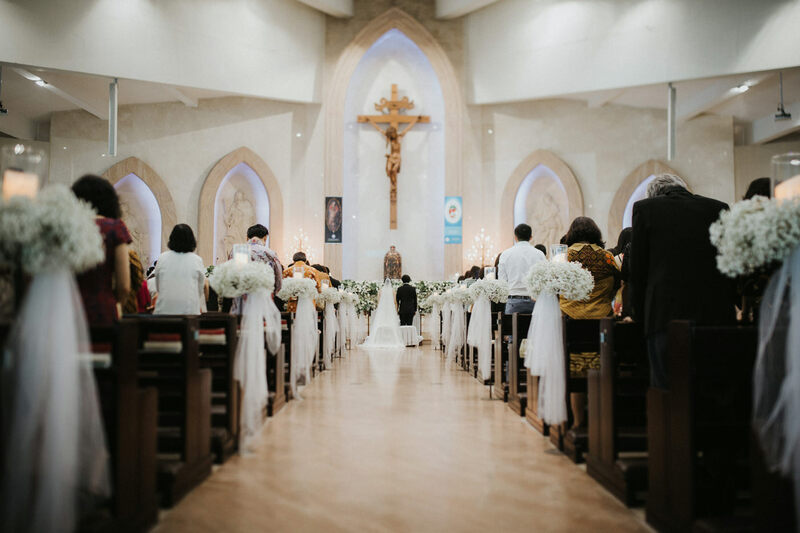 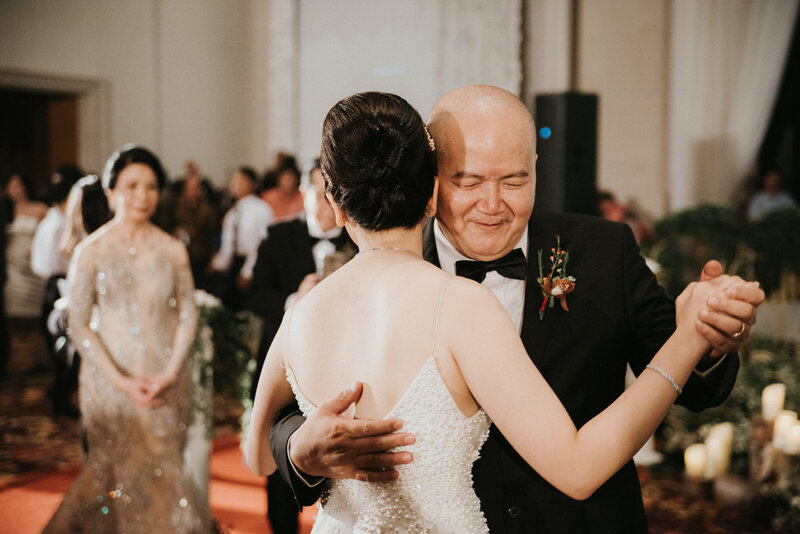 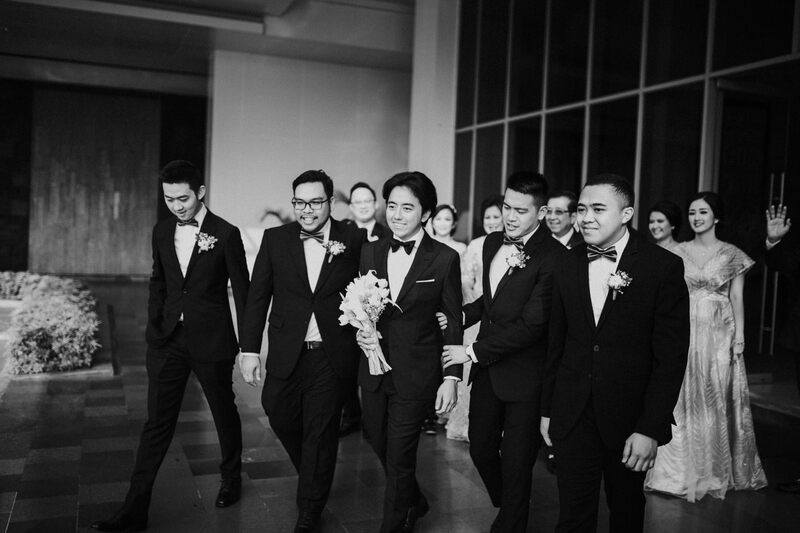 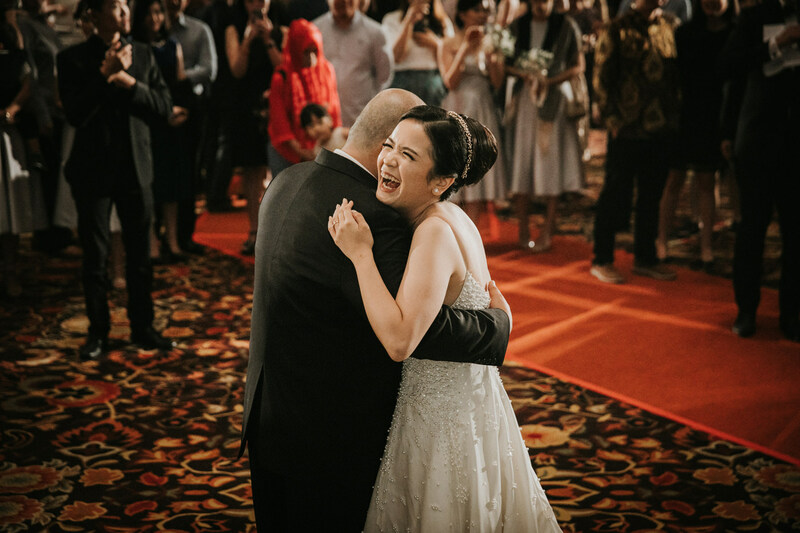 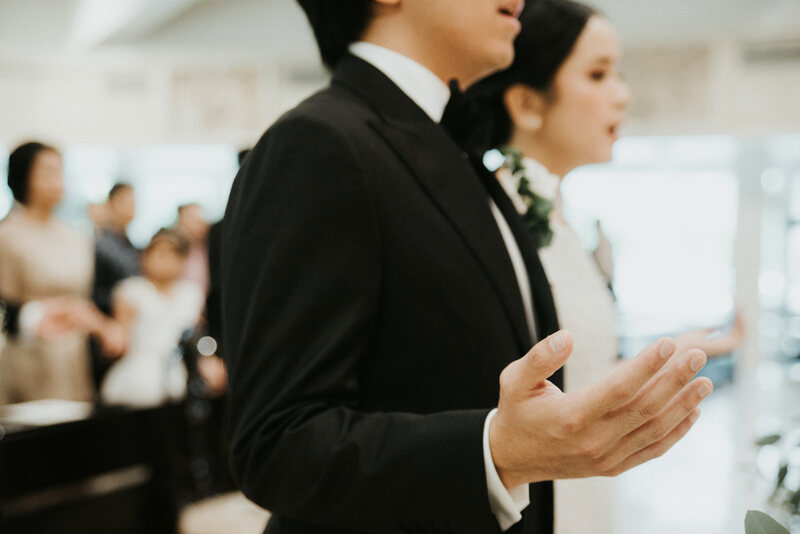 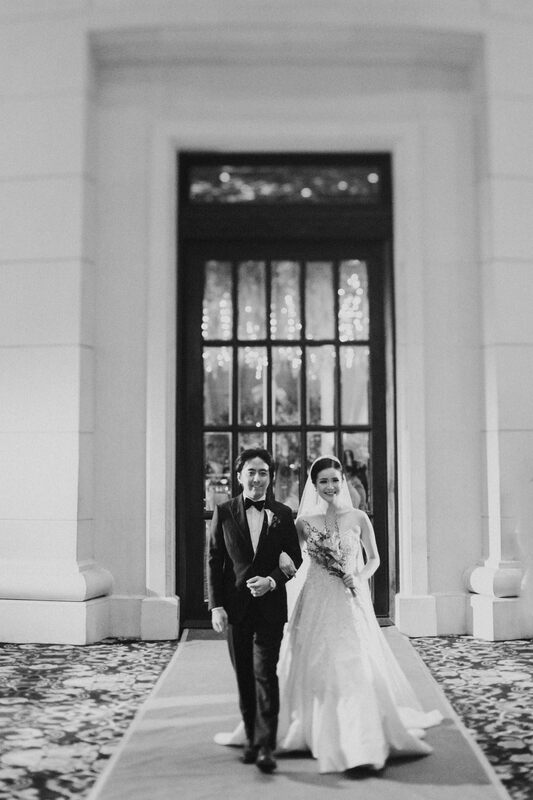 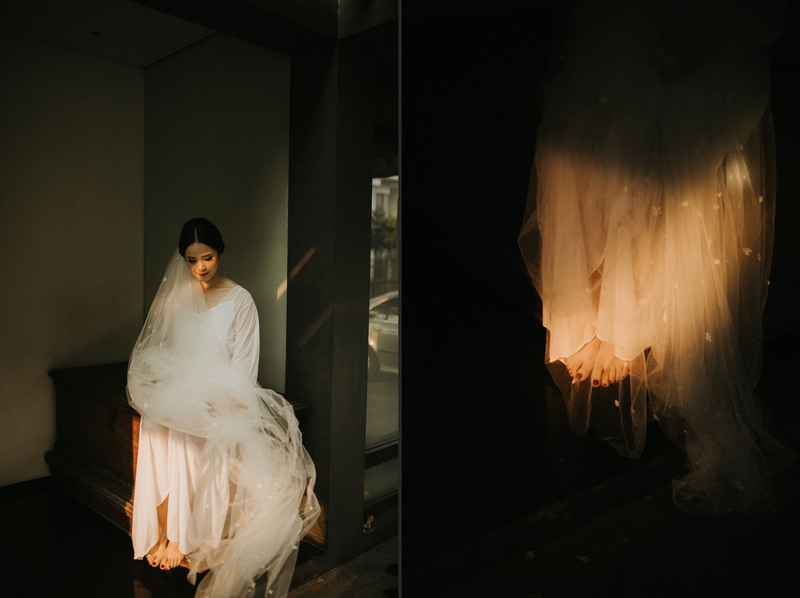 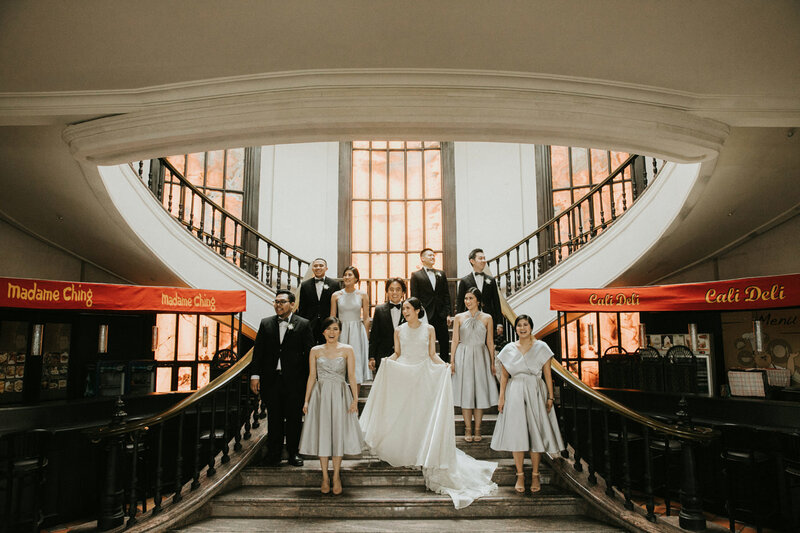 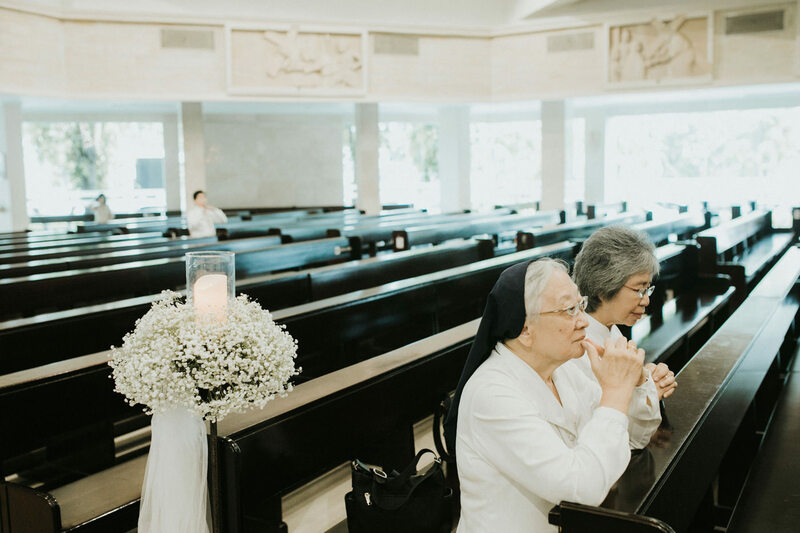 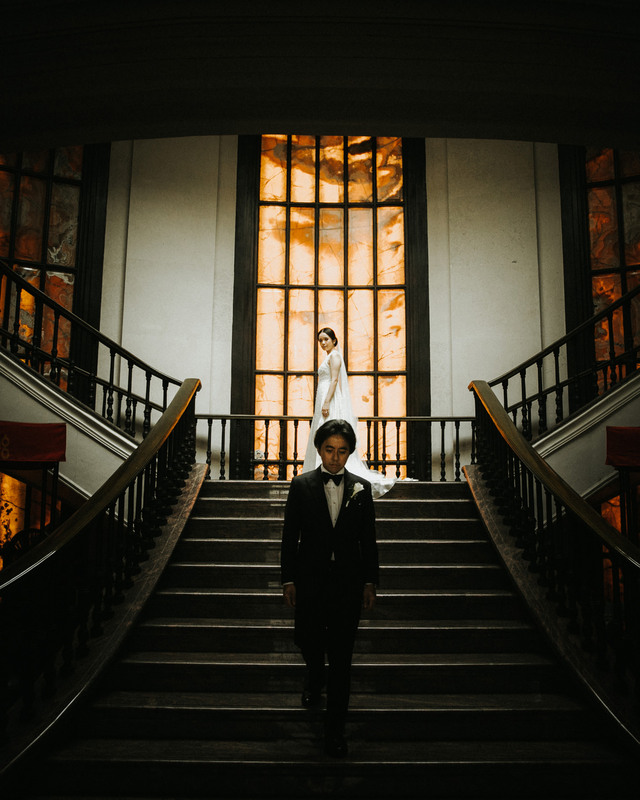 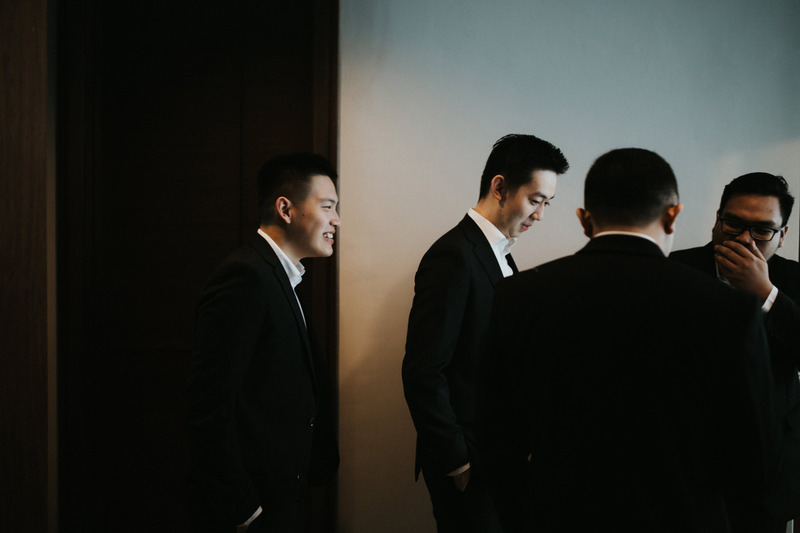 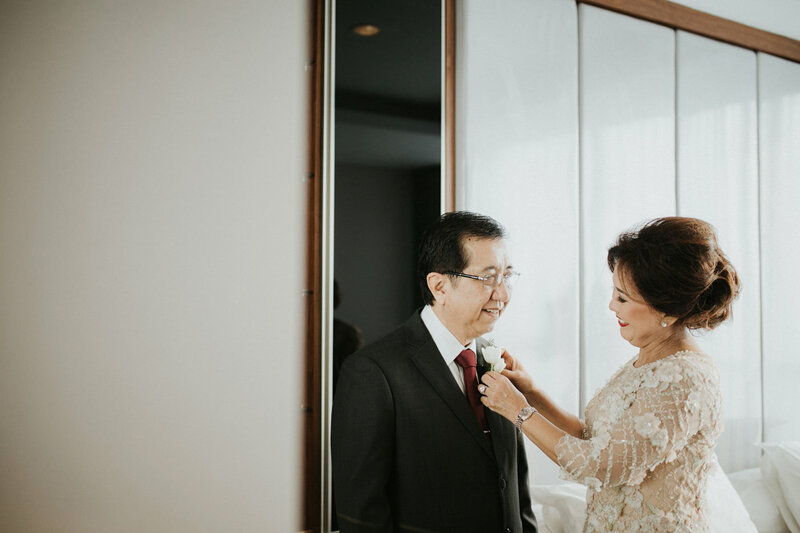 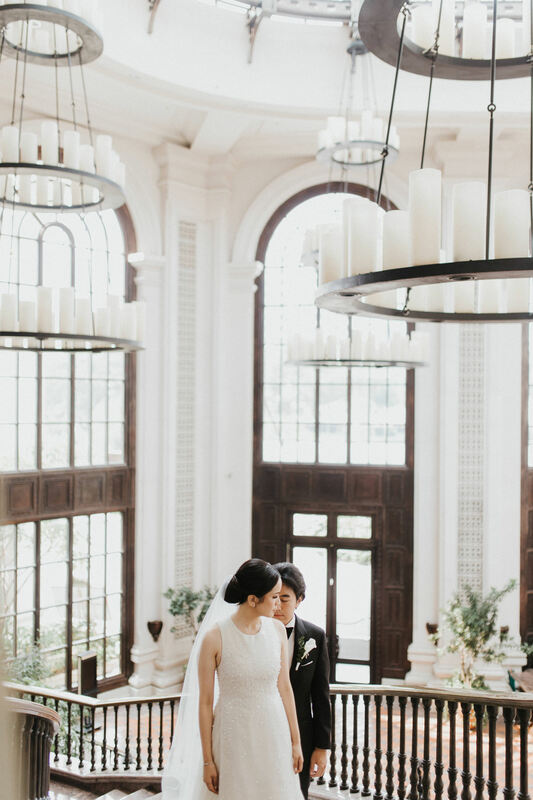 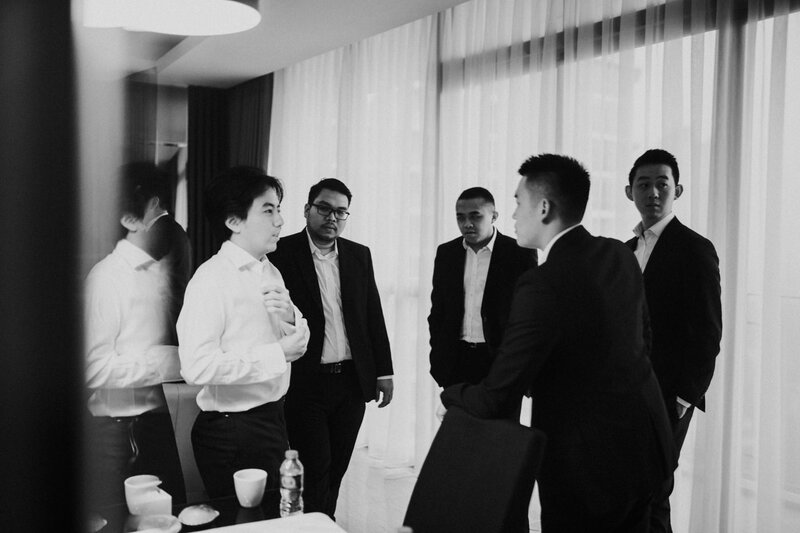 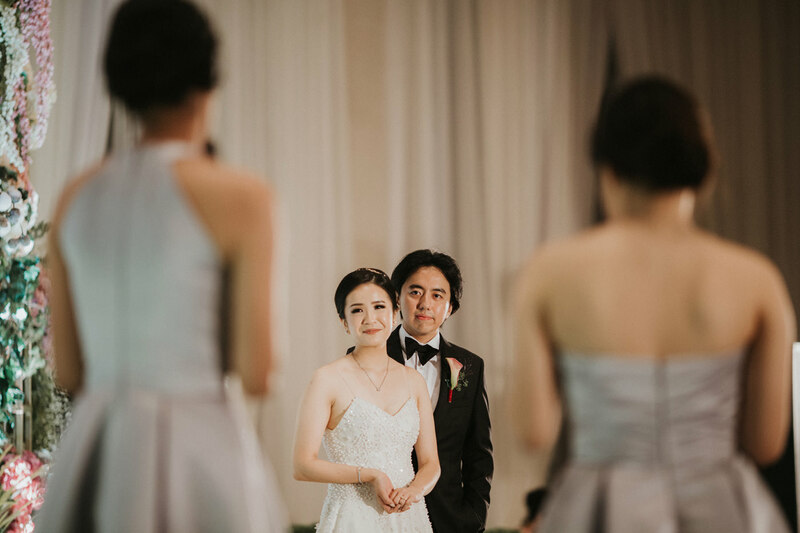 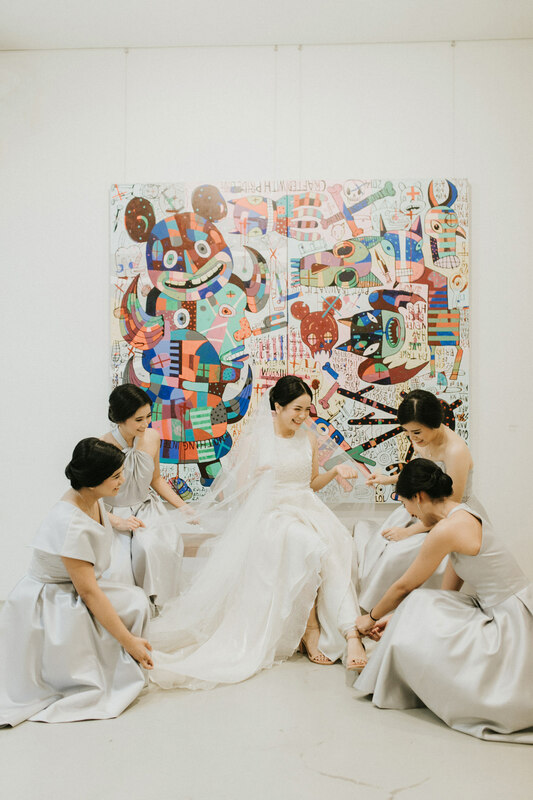 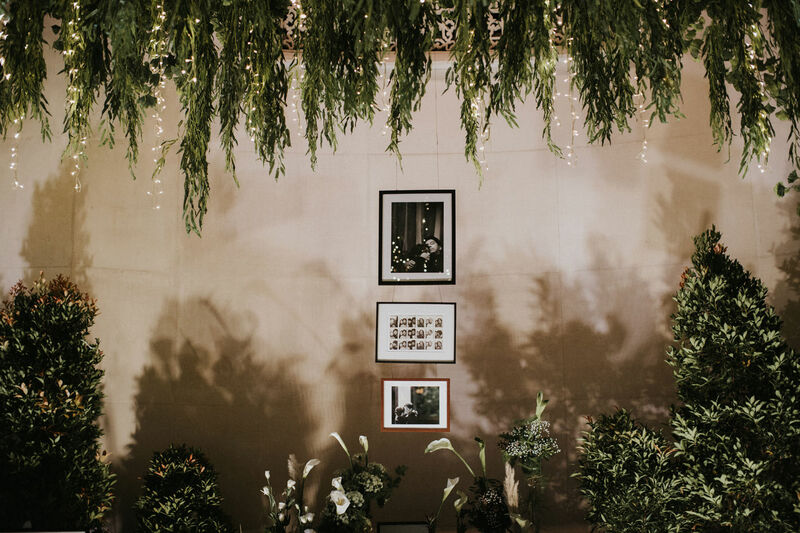 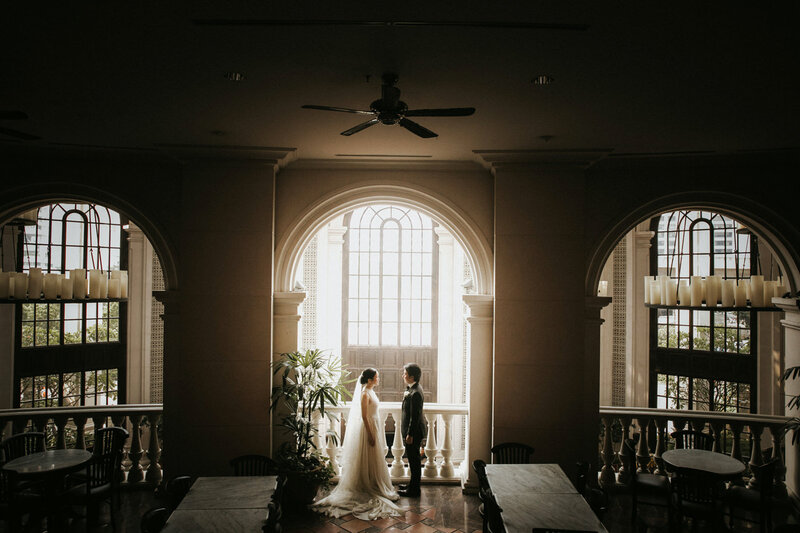 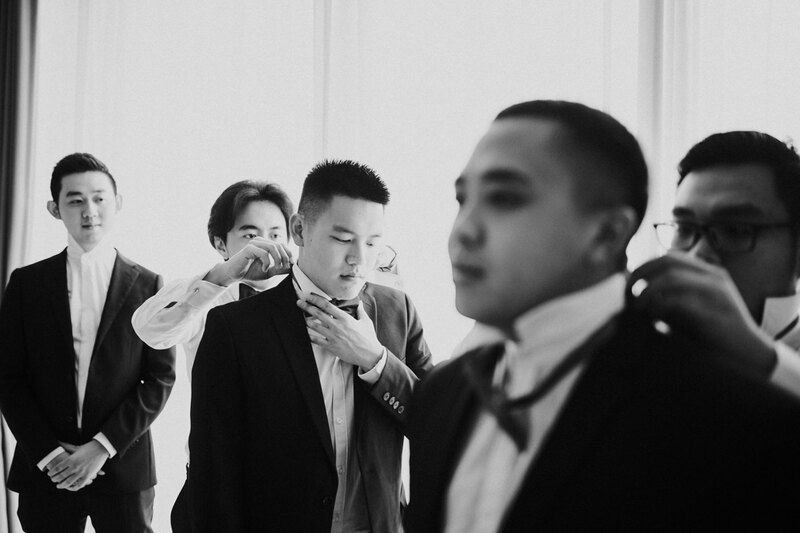 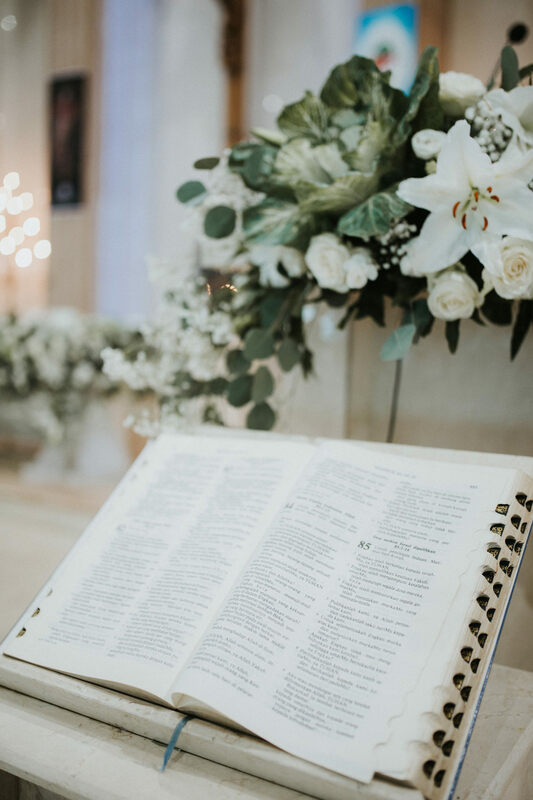 They chose Sampoerna Strategic Square as their wedding venue because the place itself is just so beautiful that it doesn’t need much decoration. 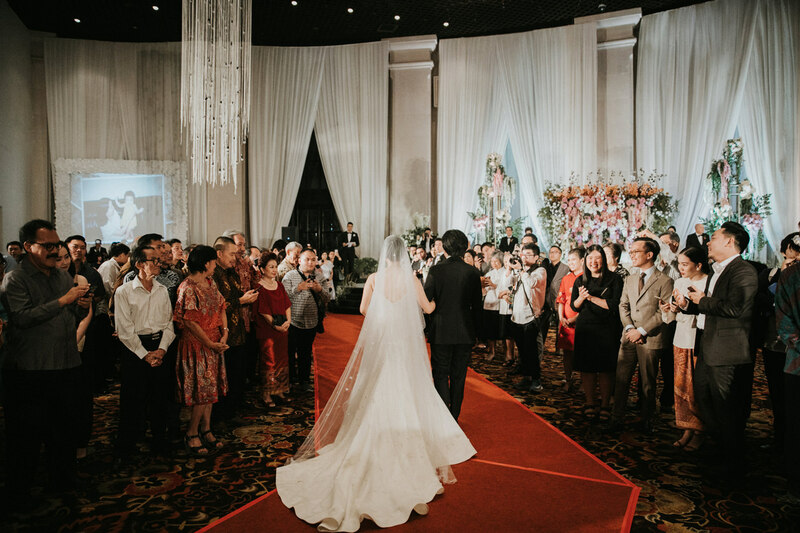 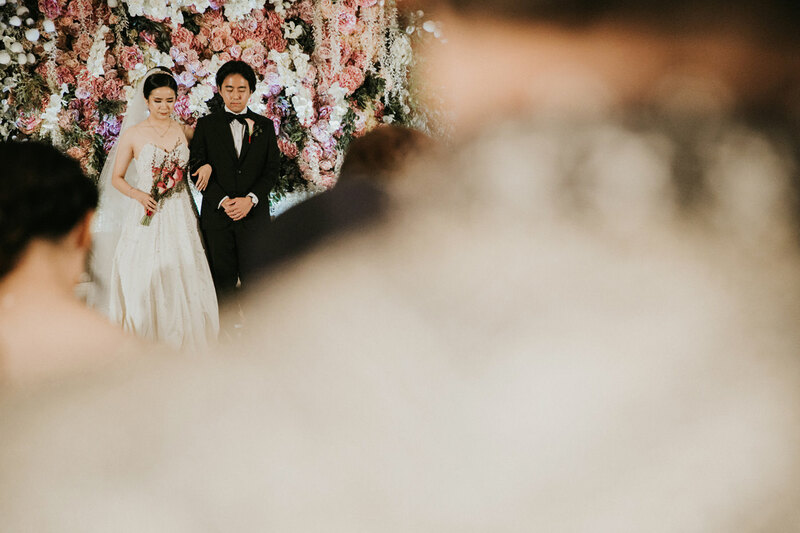 Also worth mentioning, the couple were willing to incorporate Indonesian theme where they stood on the stage and shake everyone’s hands throughout the reception night. 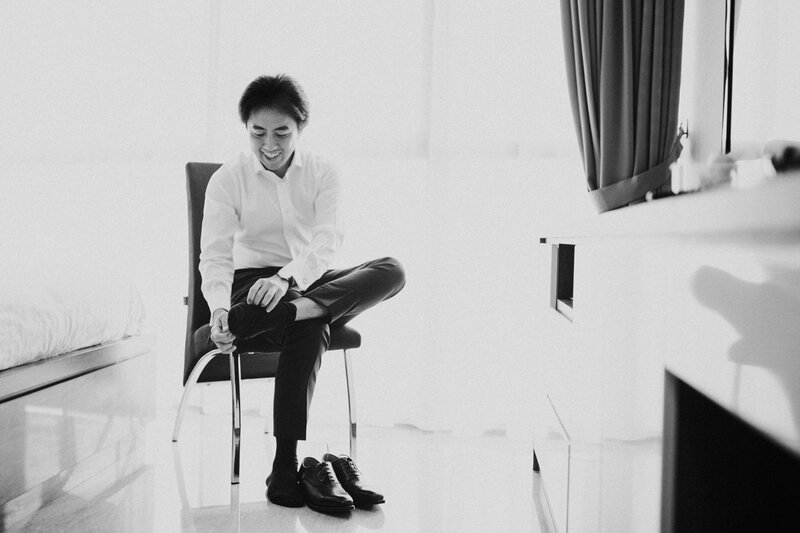 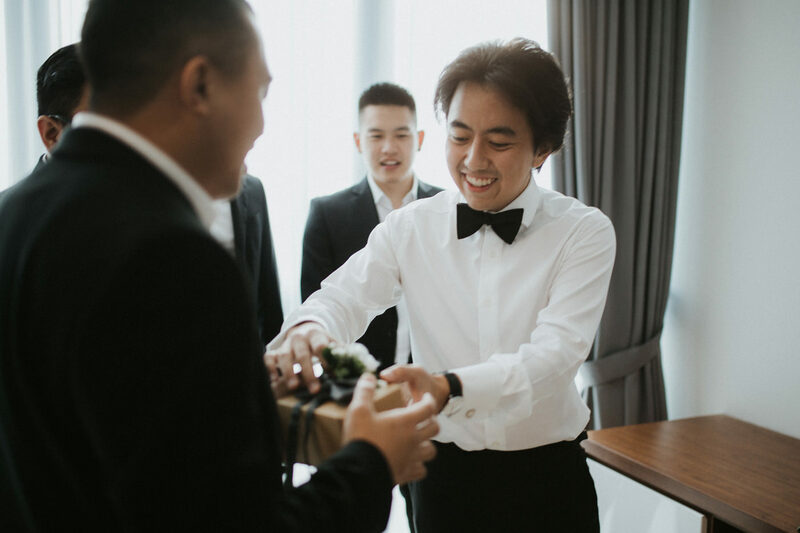 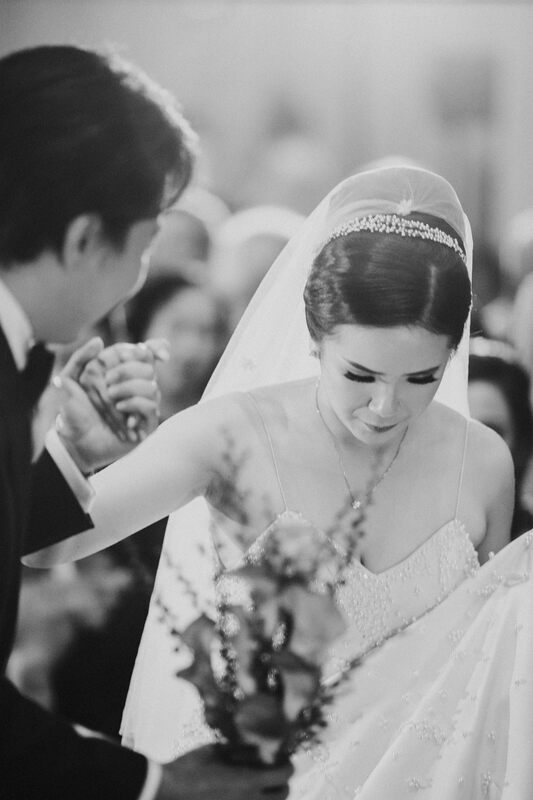 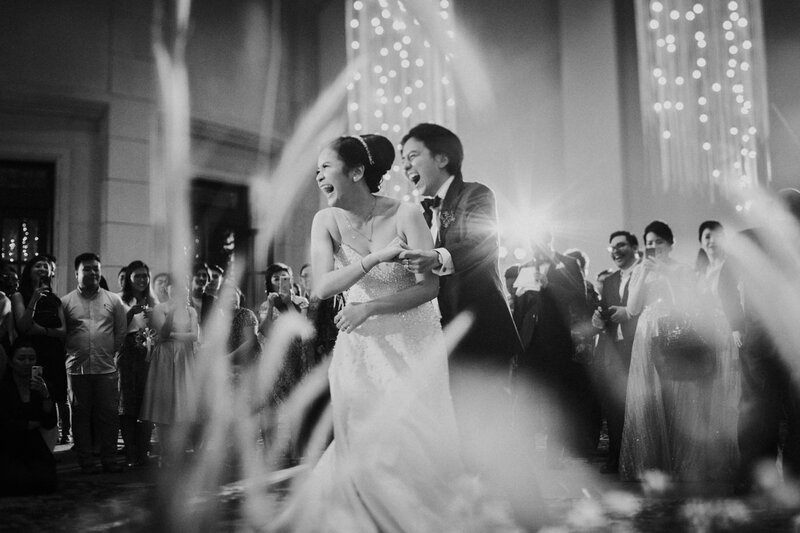 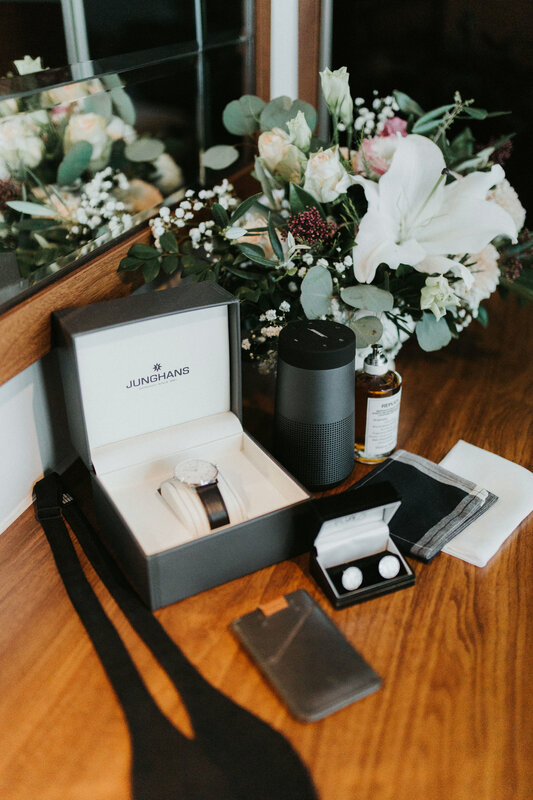 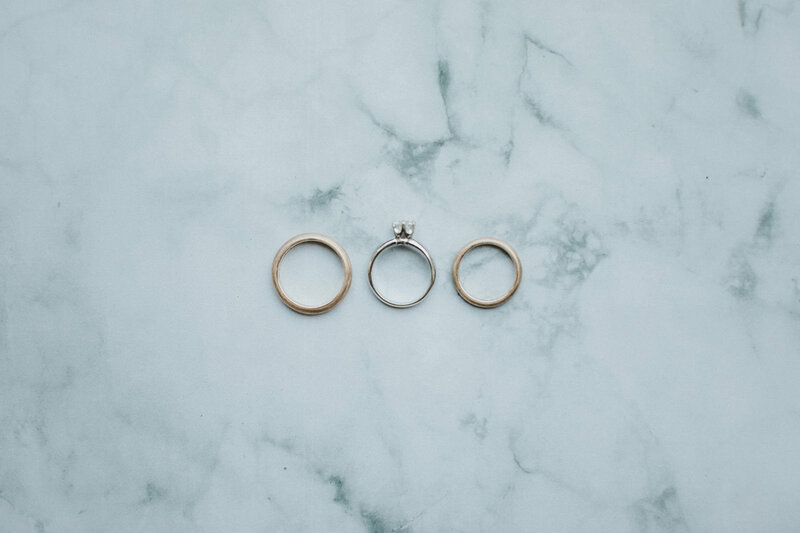 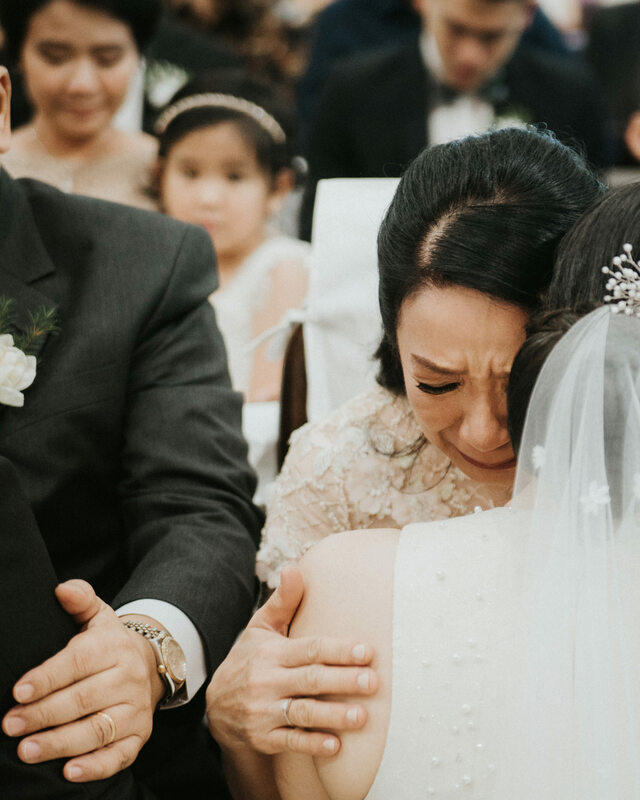 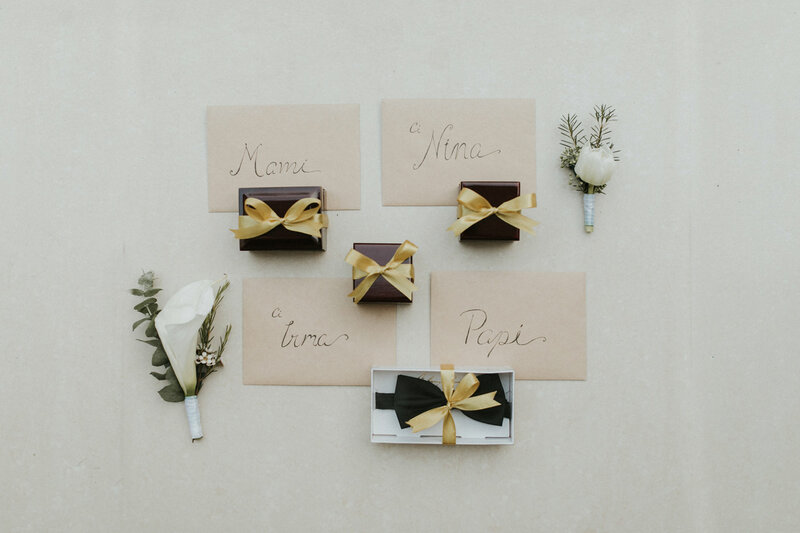 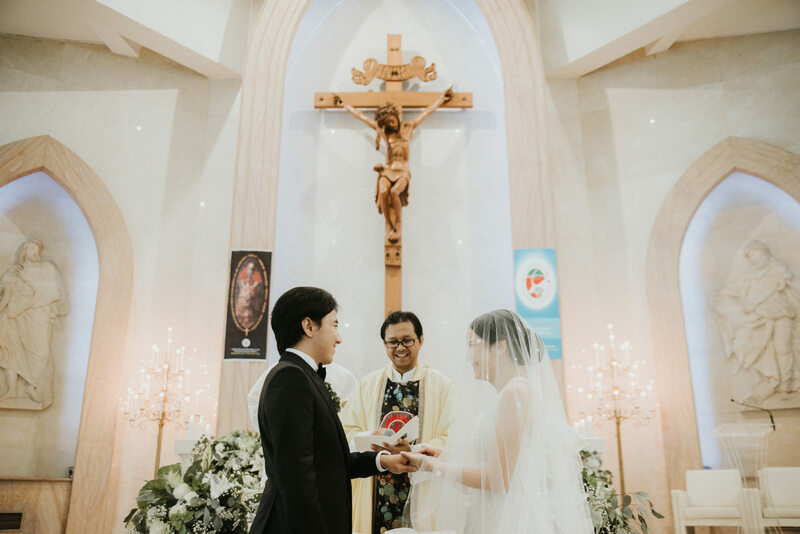 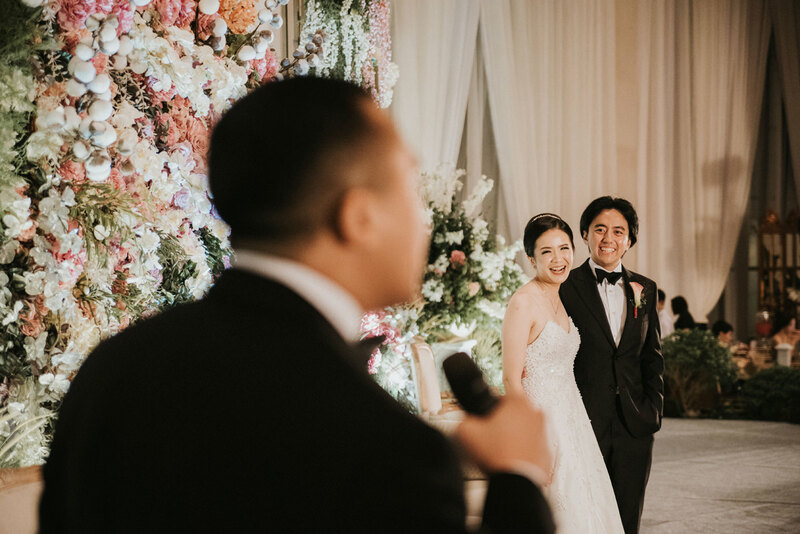 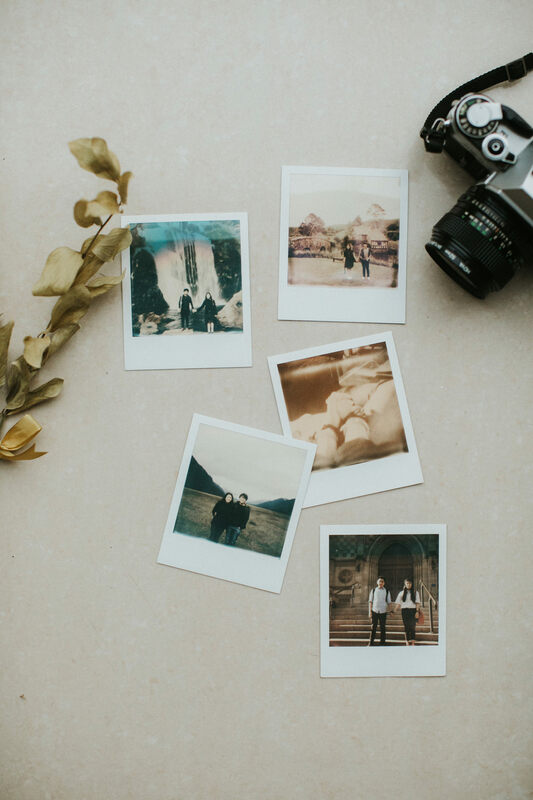 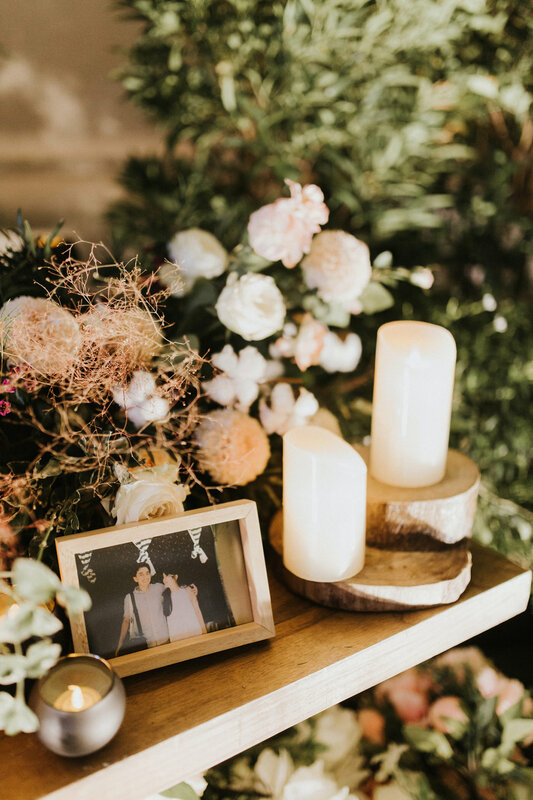 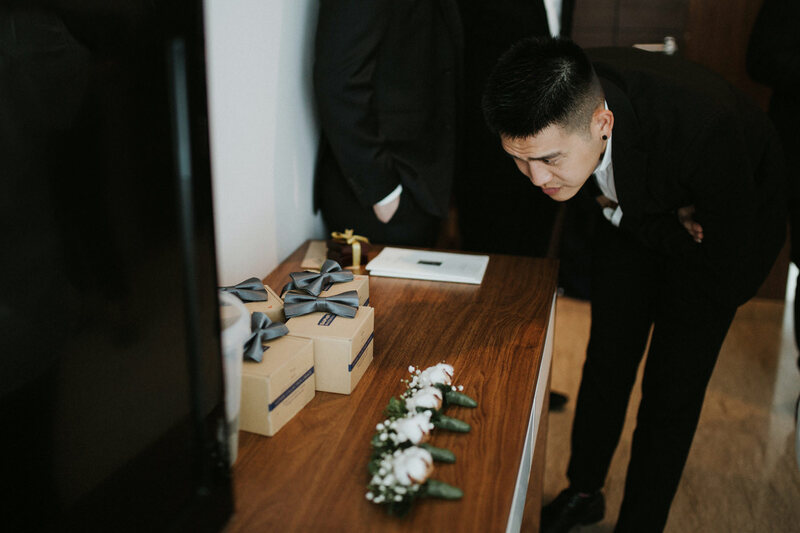 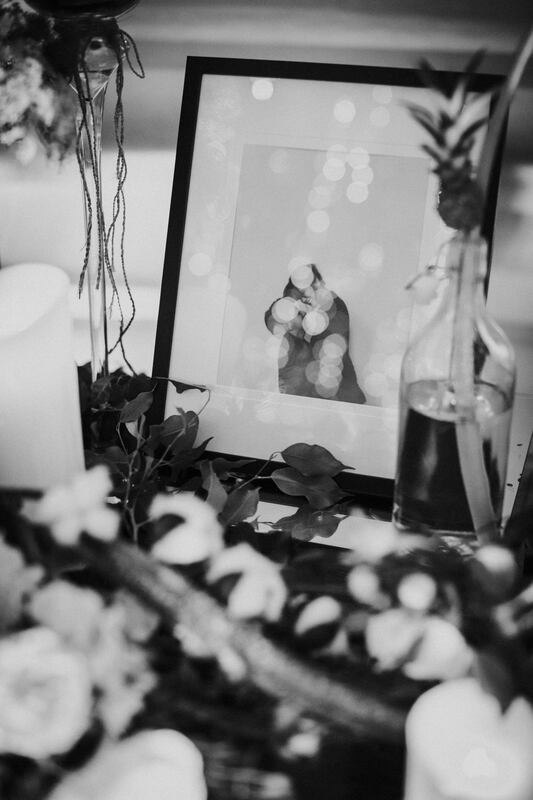 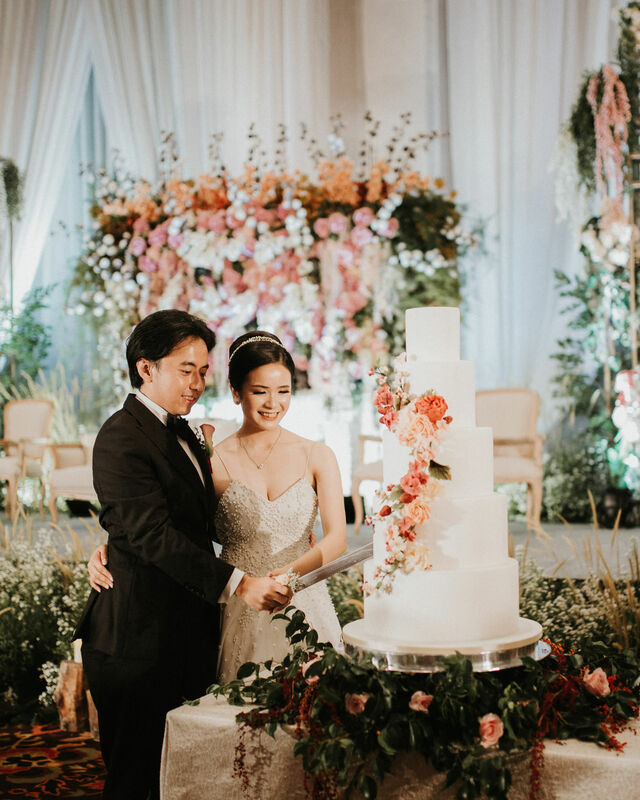 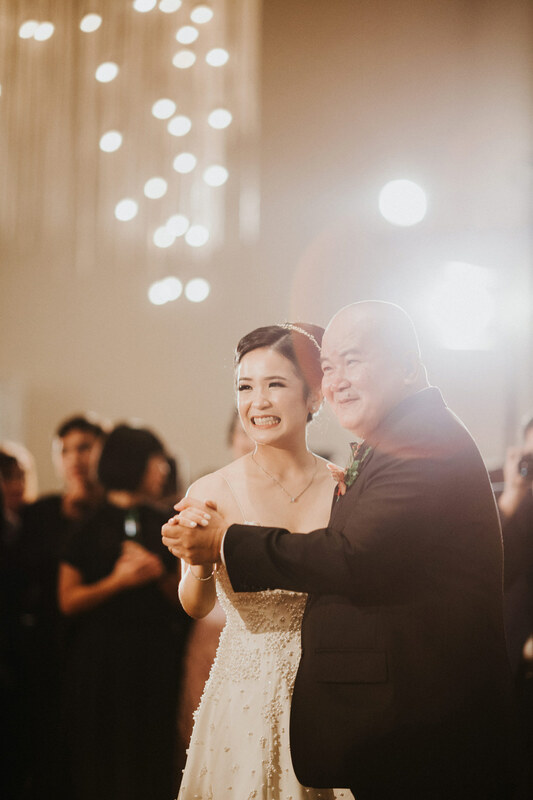 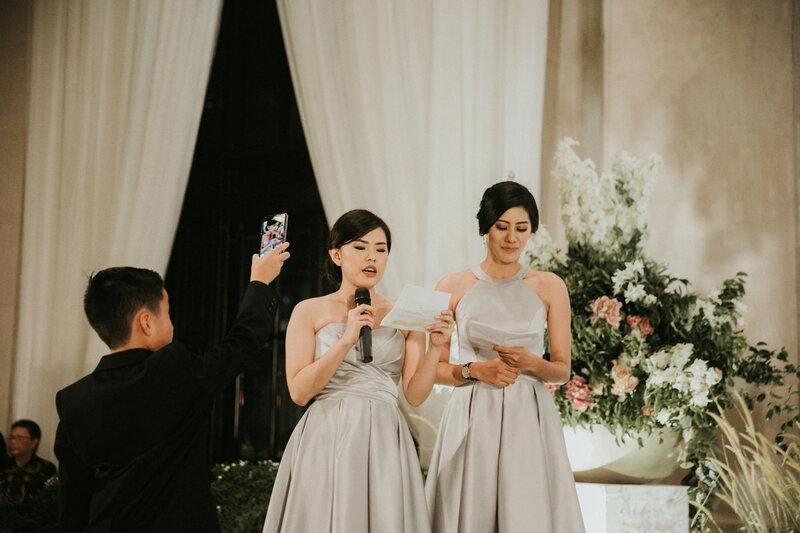 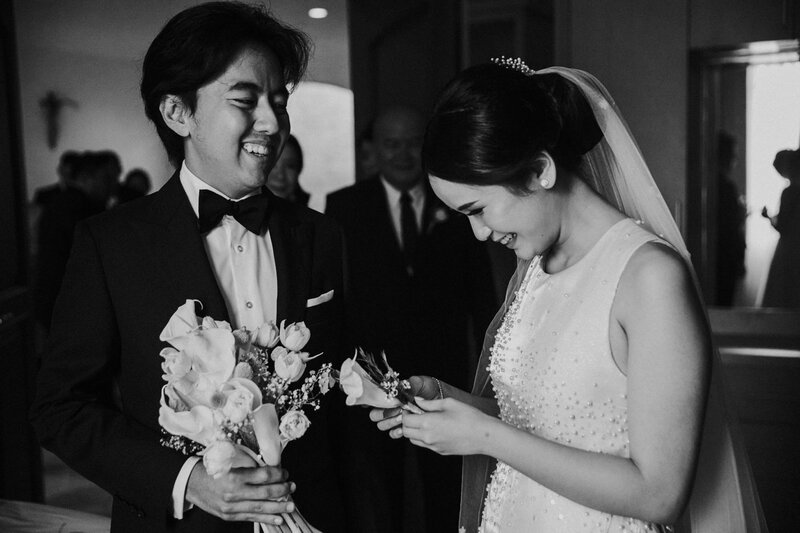 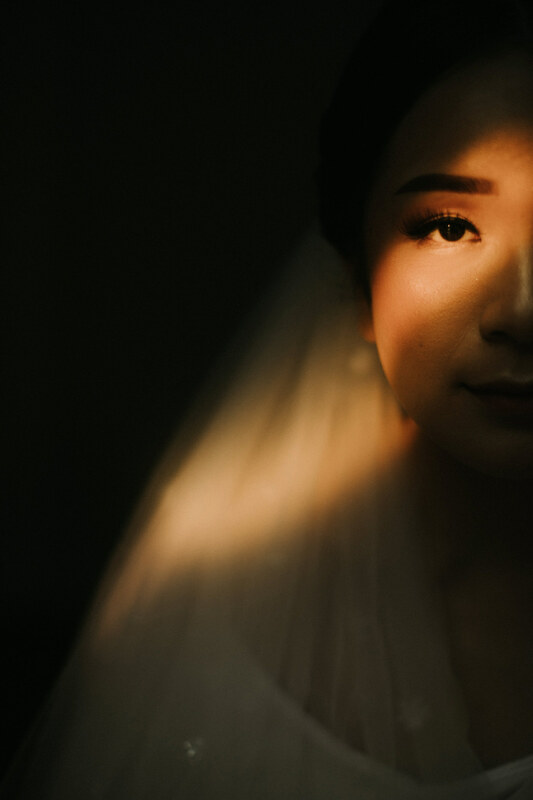 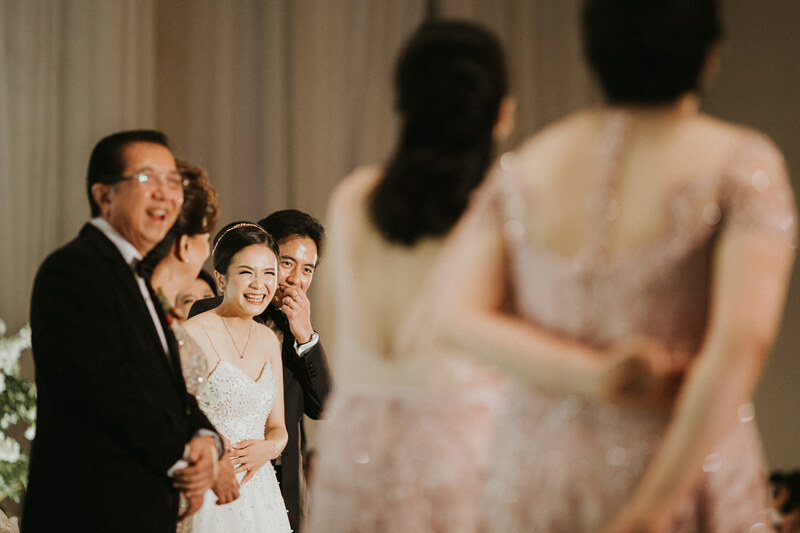 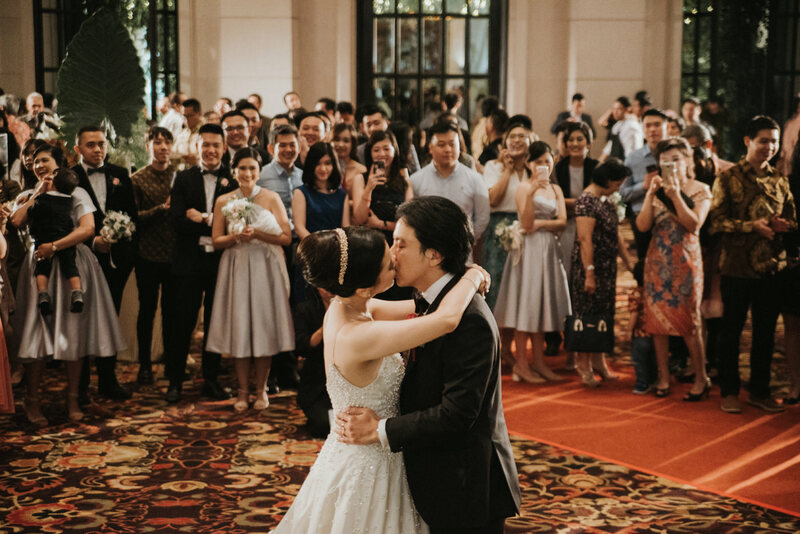 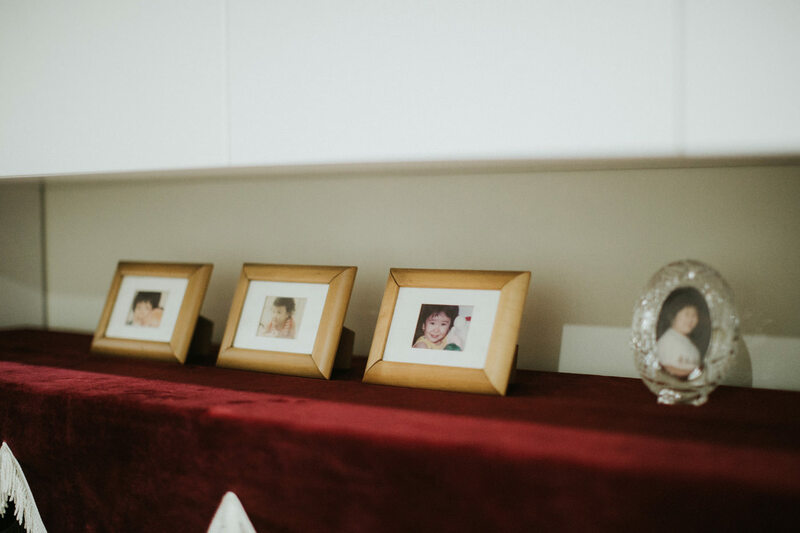 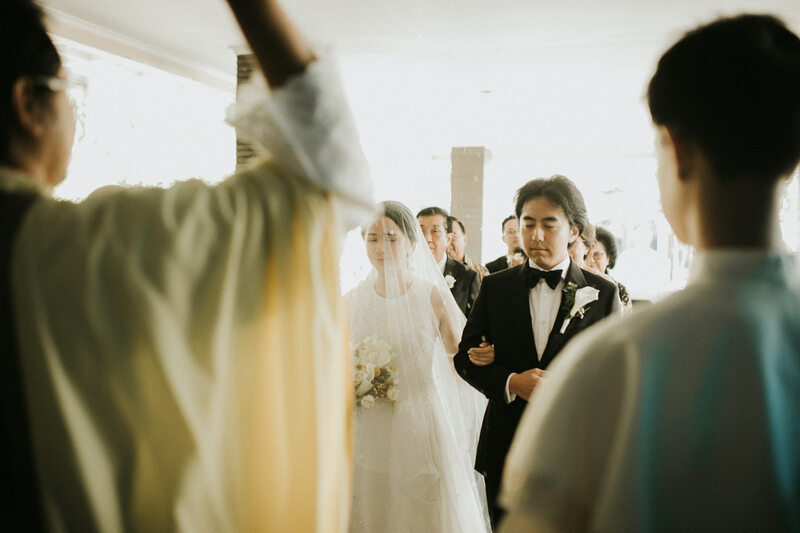 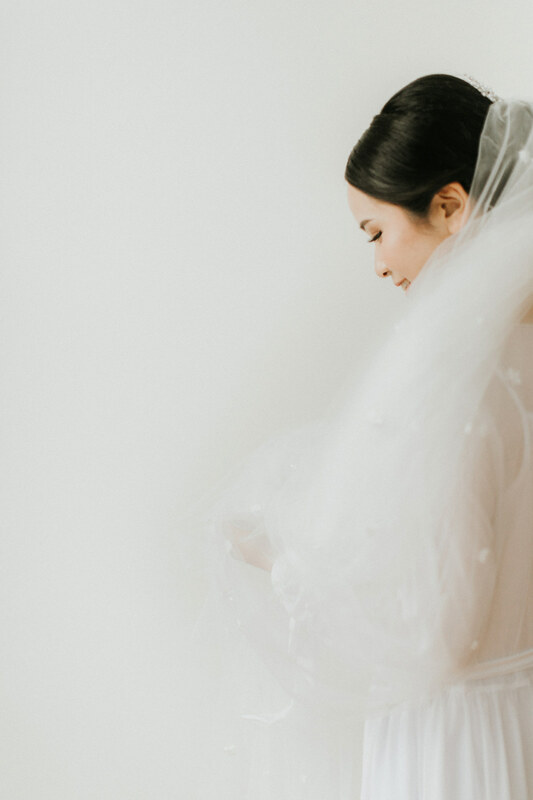 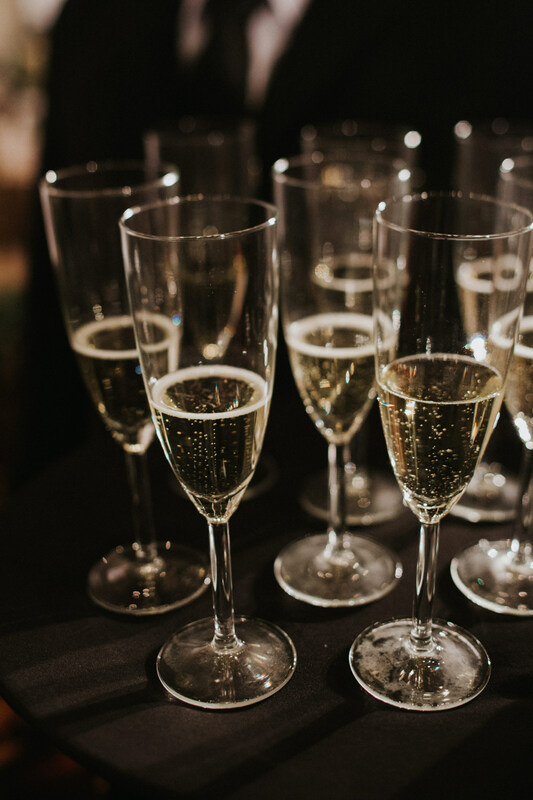 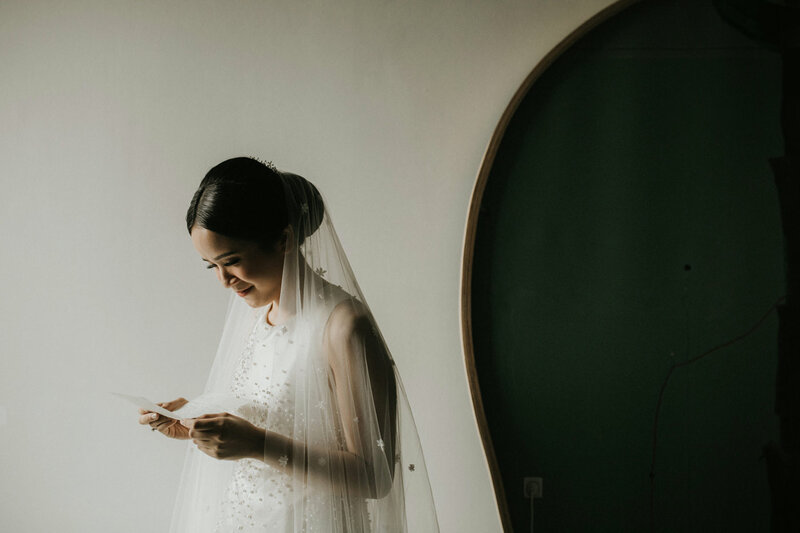 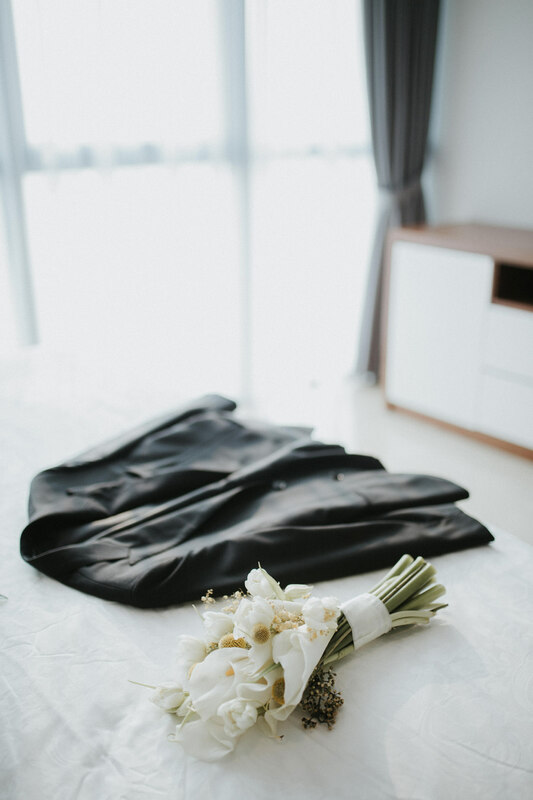 Concluding the celebration of their wedding day, Vina shared how they felt during the wedding planning hassle. 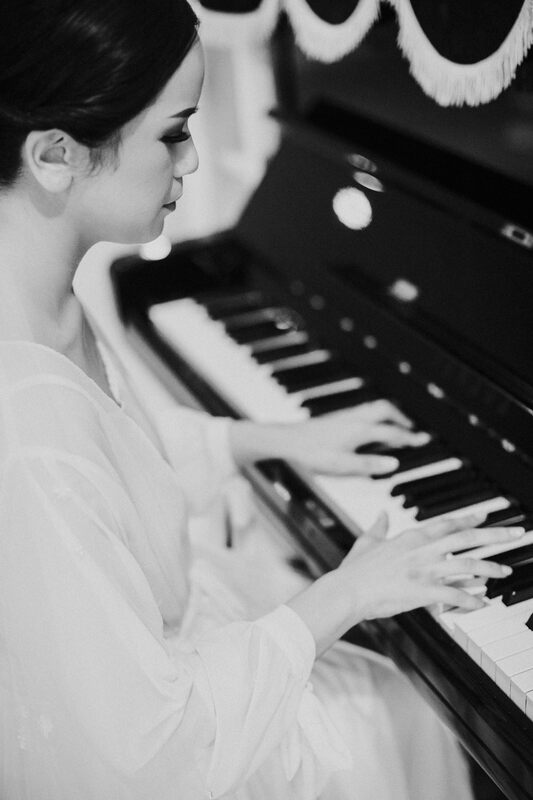 “Just relax, don’t stress. 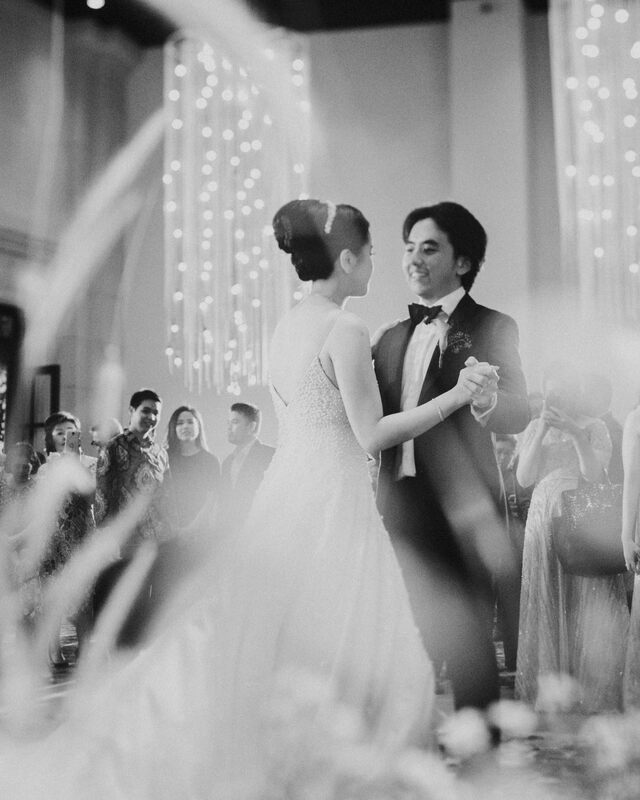 Enjoy yourself, enjoy your partner’s company and the presence of your family and friends. 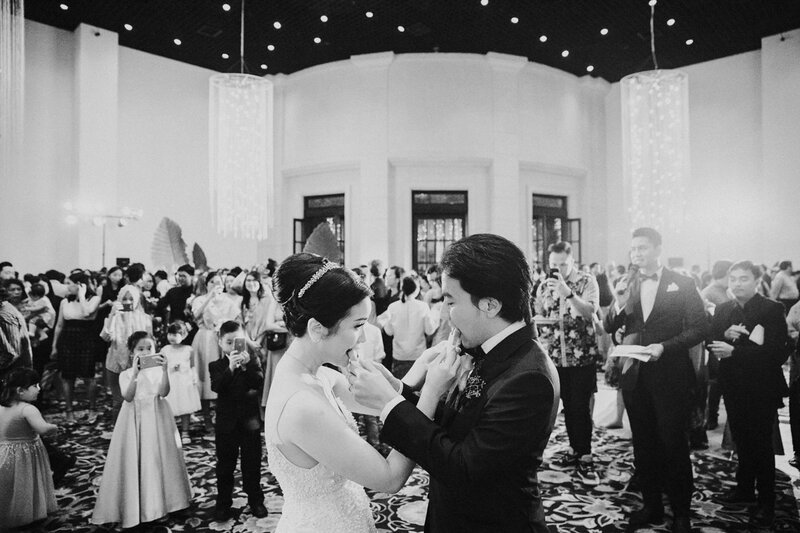 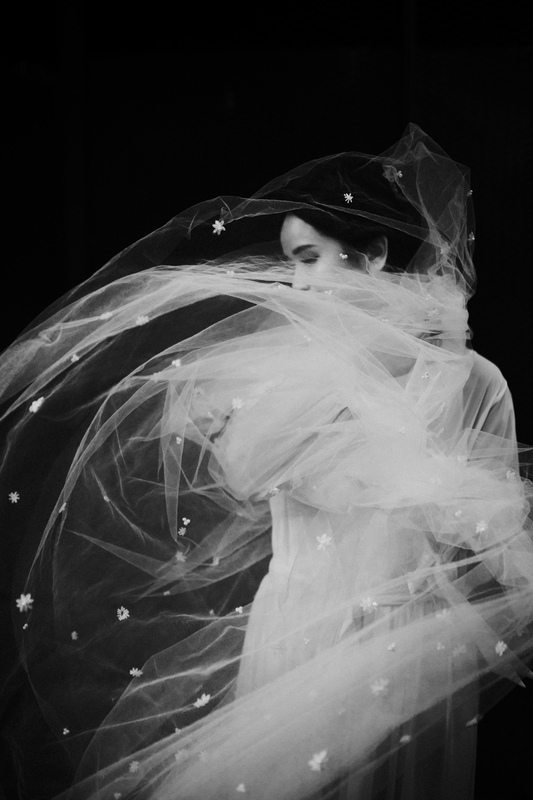 After all it’s the marriage and togetherness that matter; the wedding day itself is complimentary.” enthused the bride. 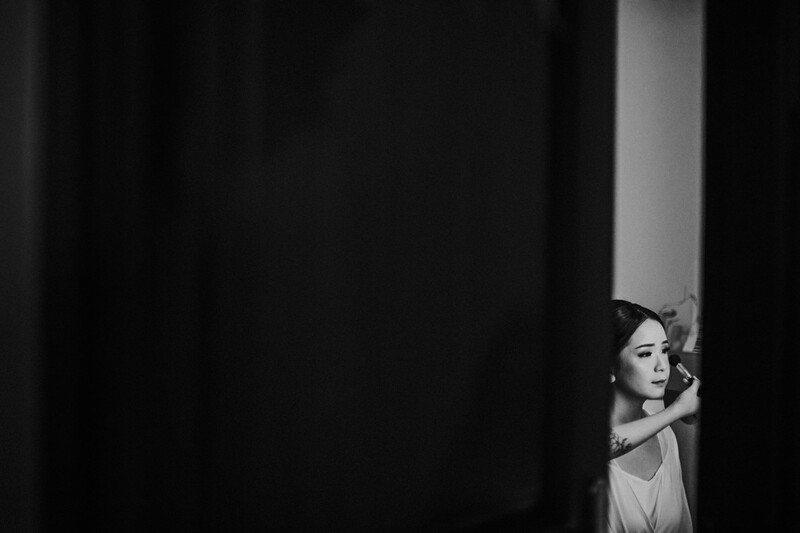 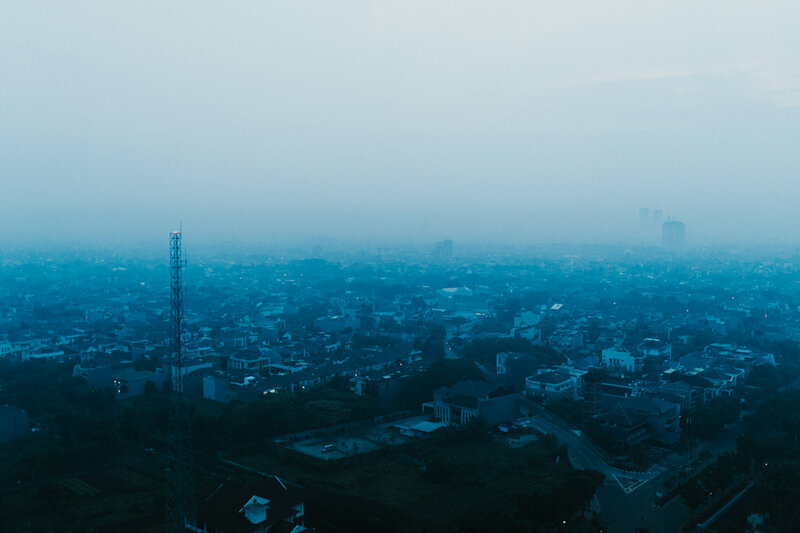 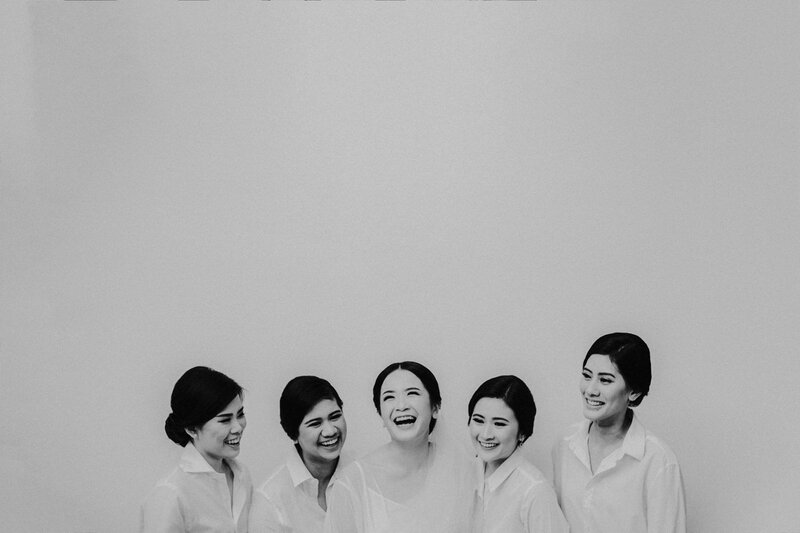 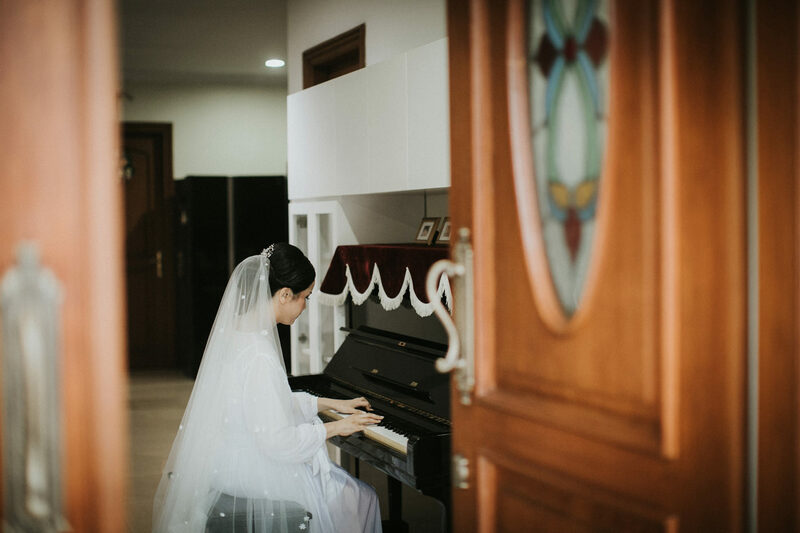 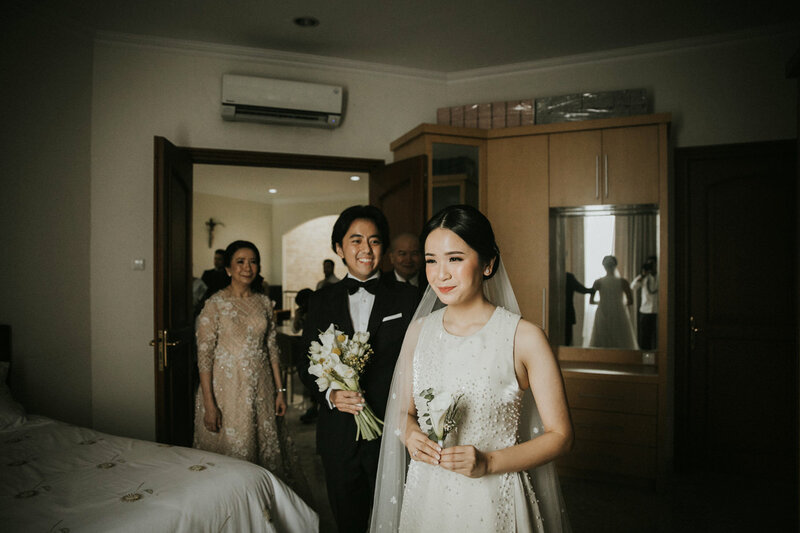 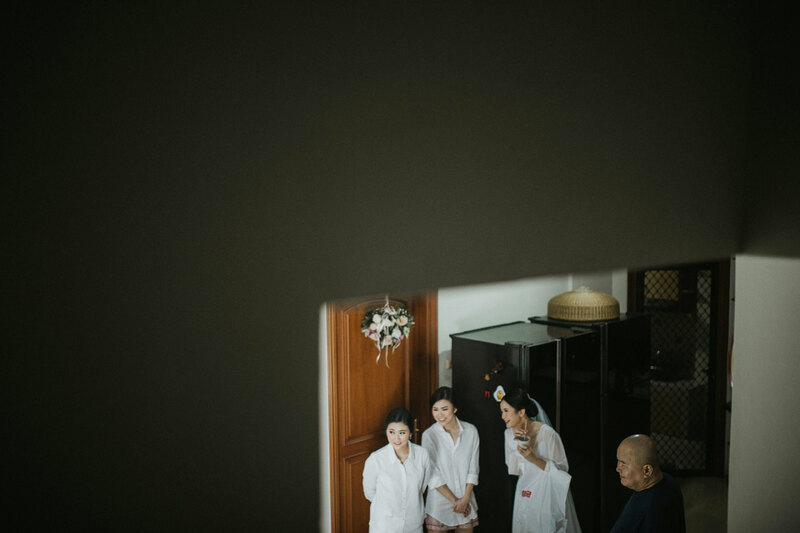 Continue the adventure to the Wedding of Adeline & Kevin in Villa Karang Putih.